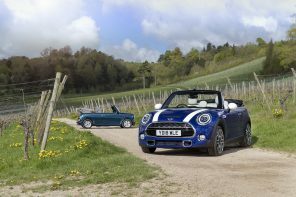 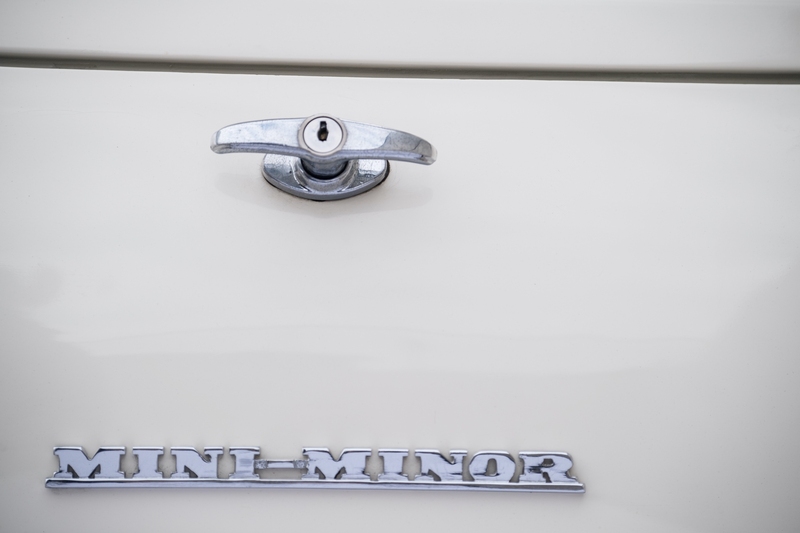 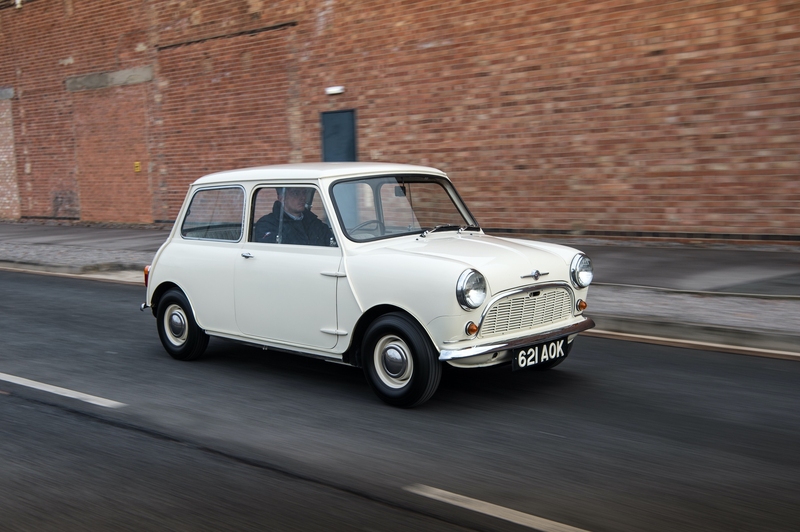 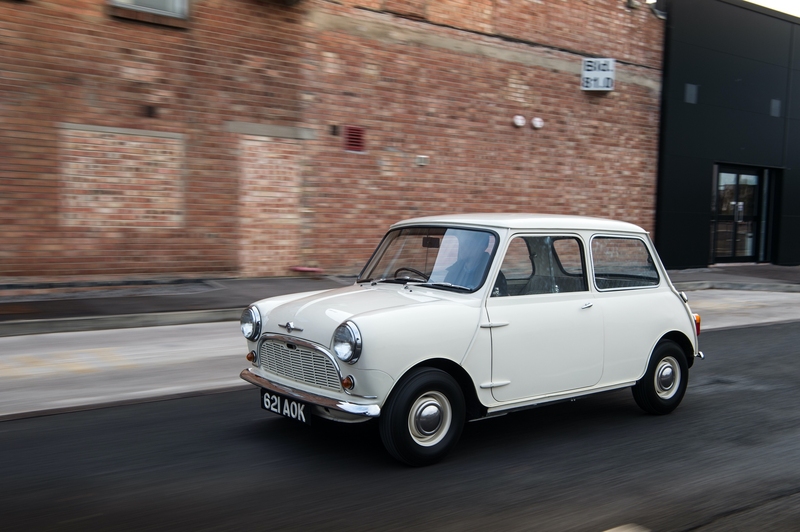 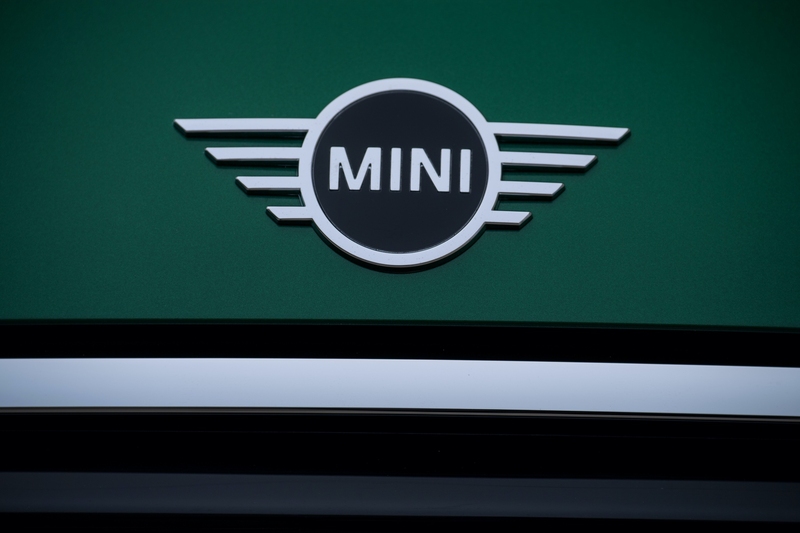 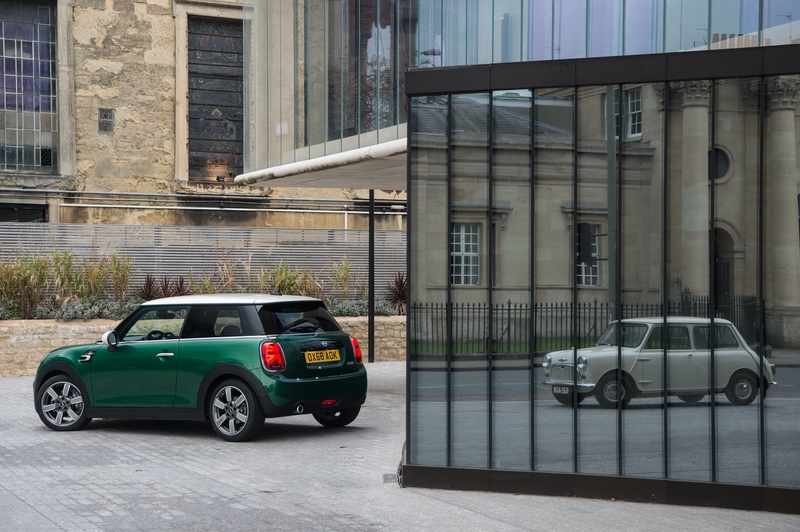 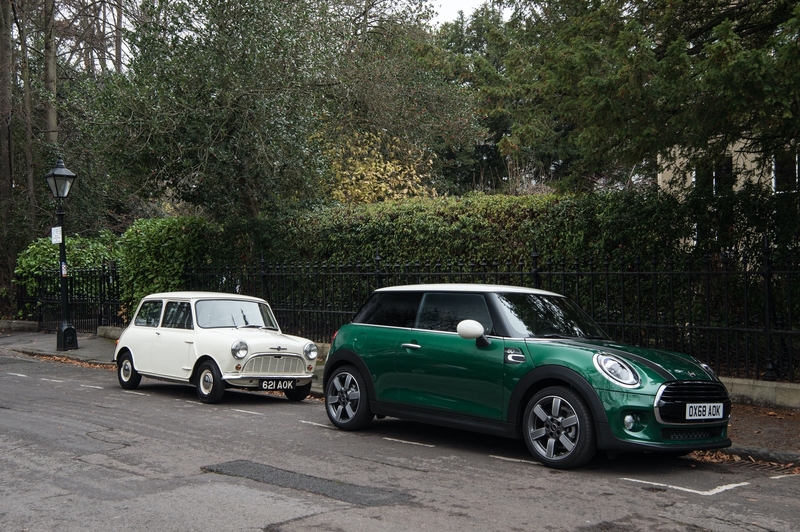 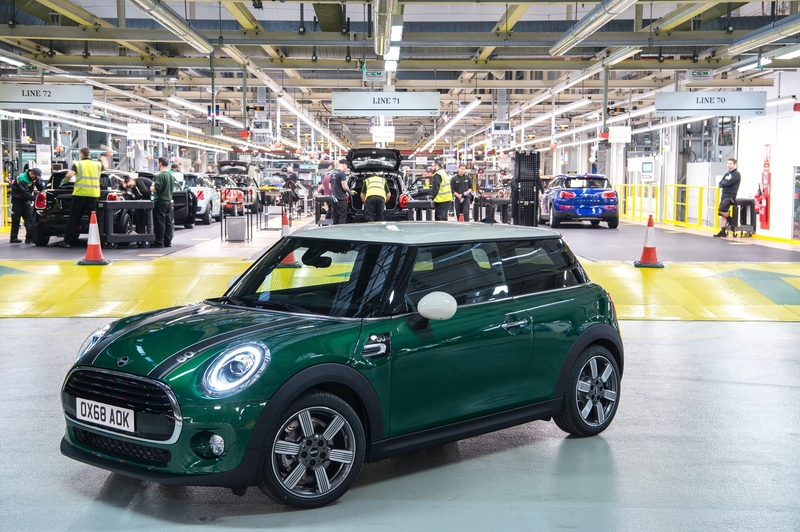 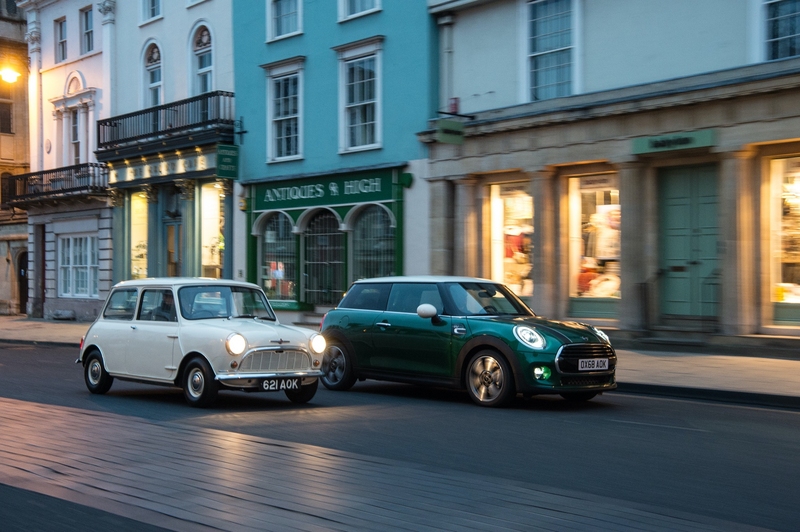 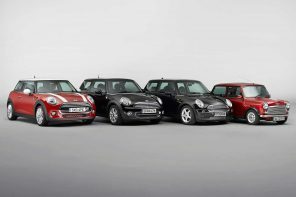 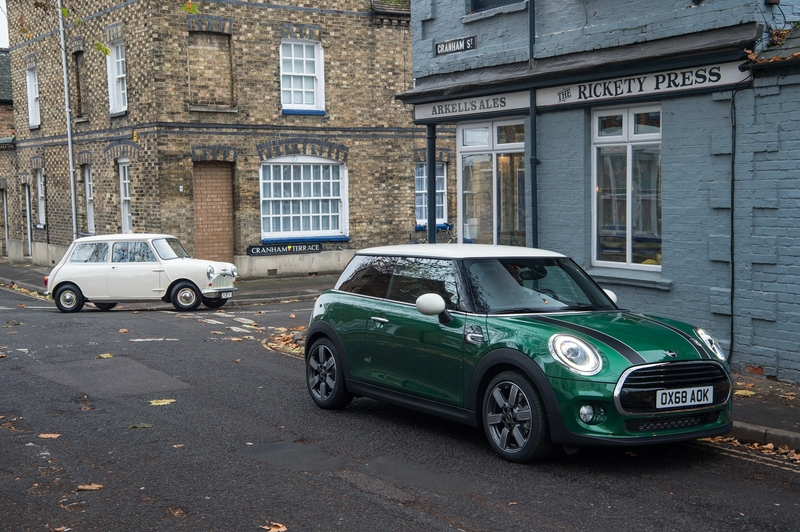 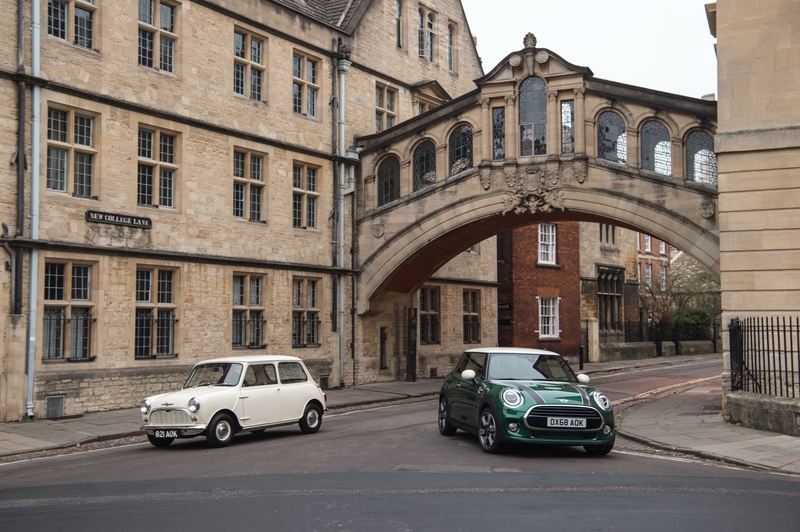 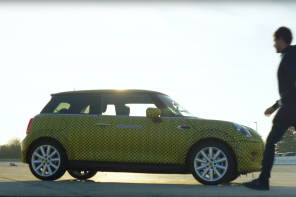 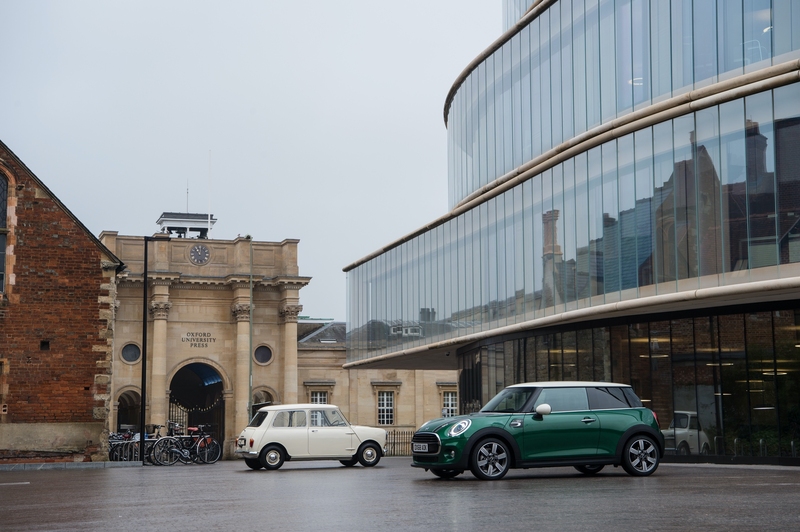 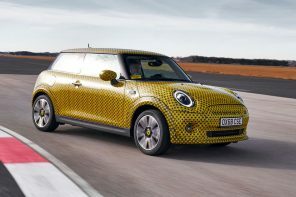 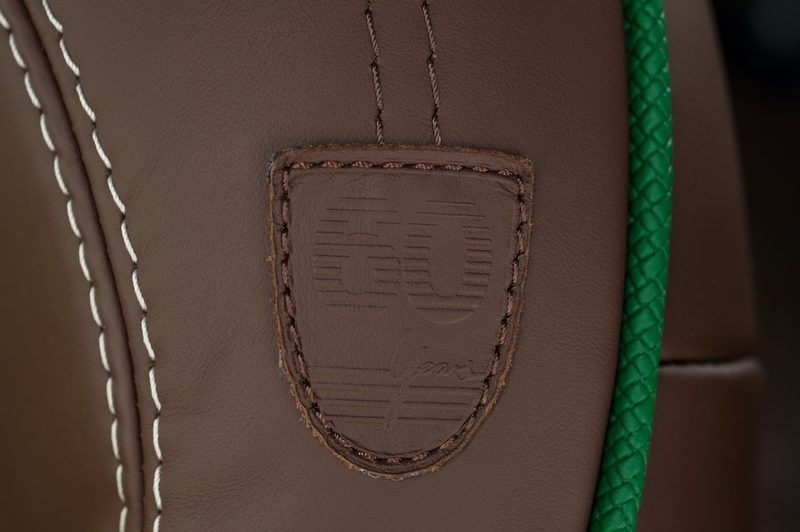 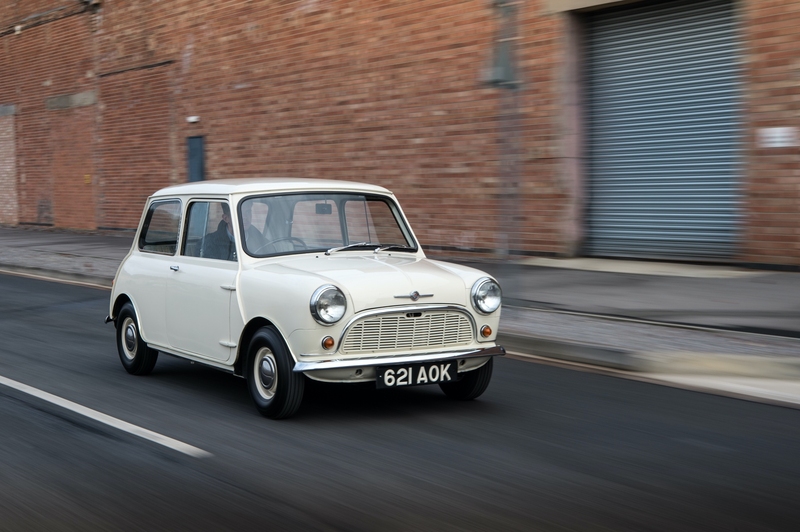 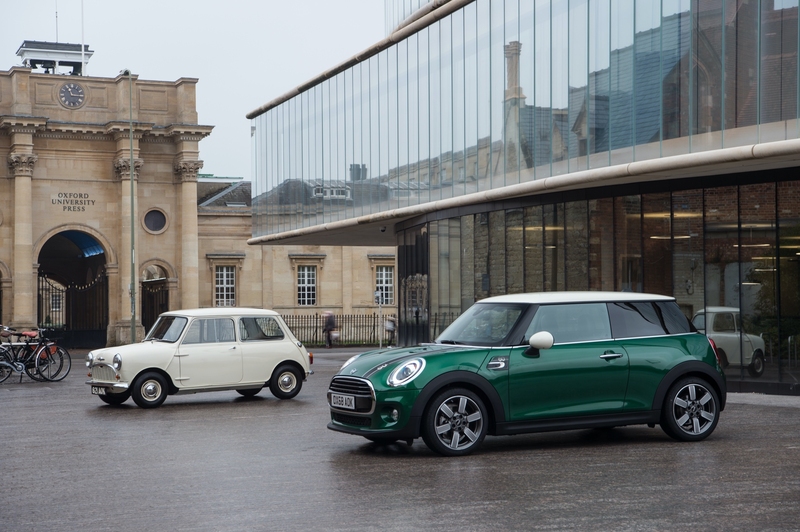 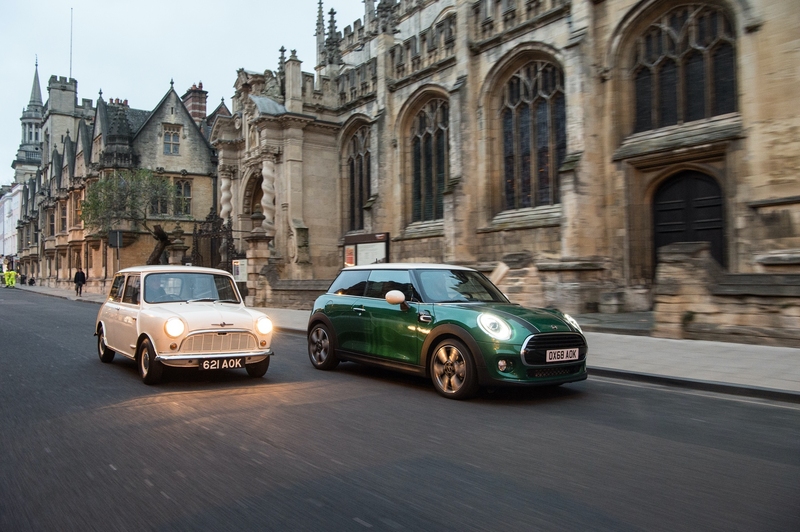 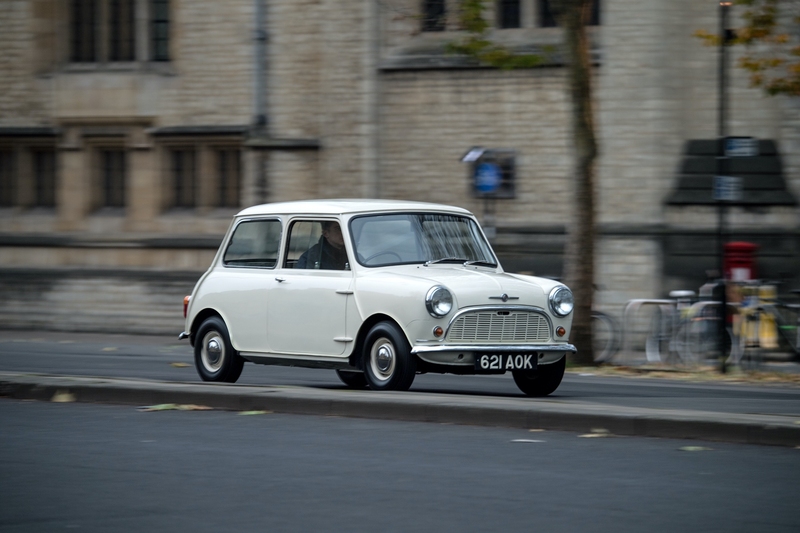 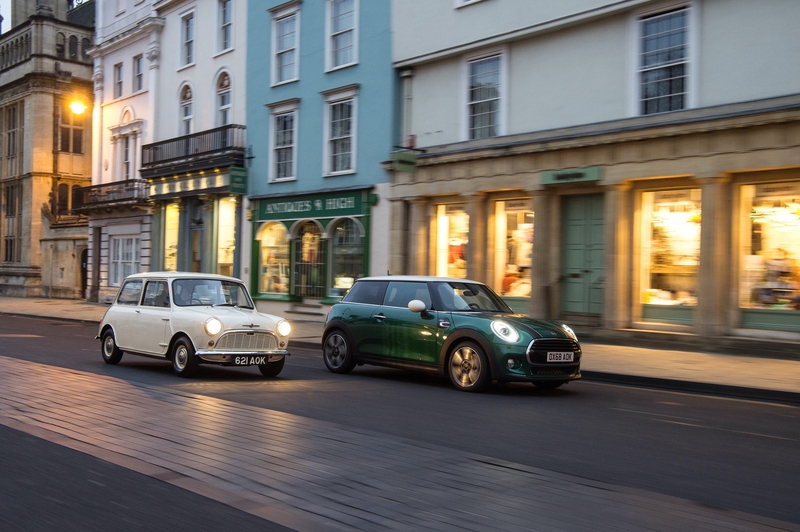 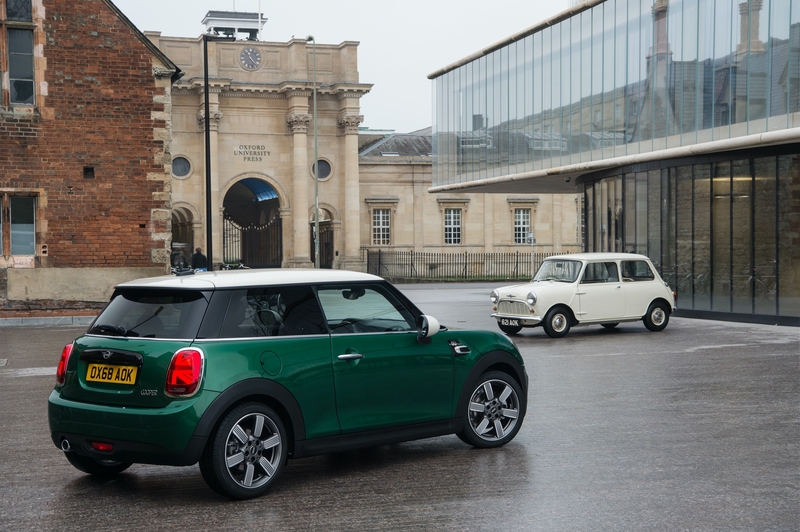 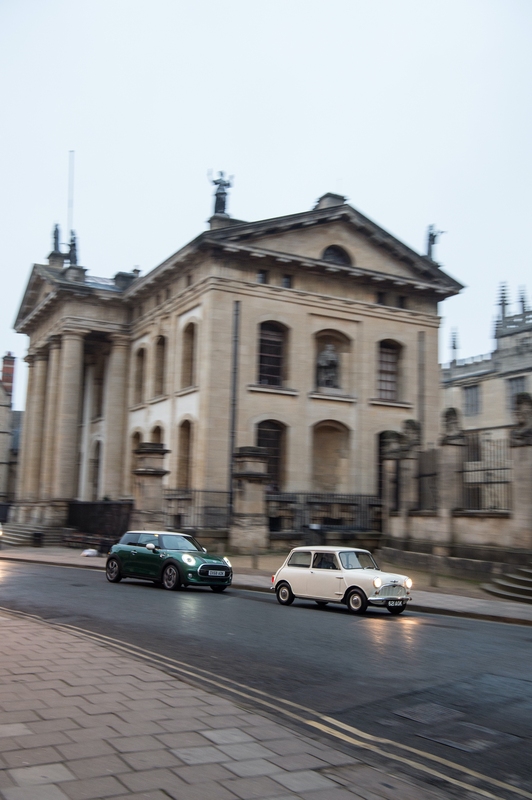 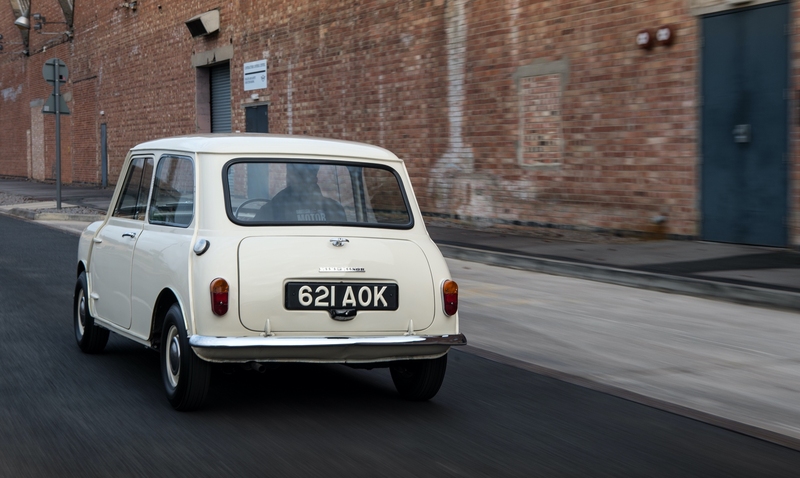 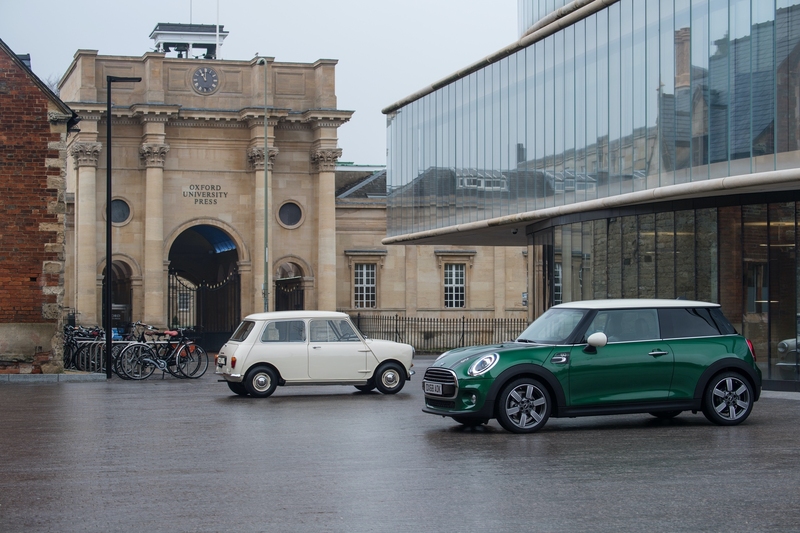 The MINI 60 Years Edition has been officially announced celebrating the brands 60th birthday. 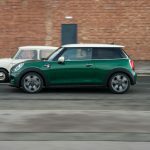 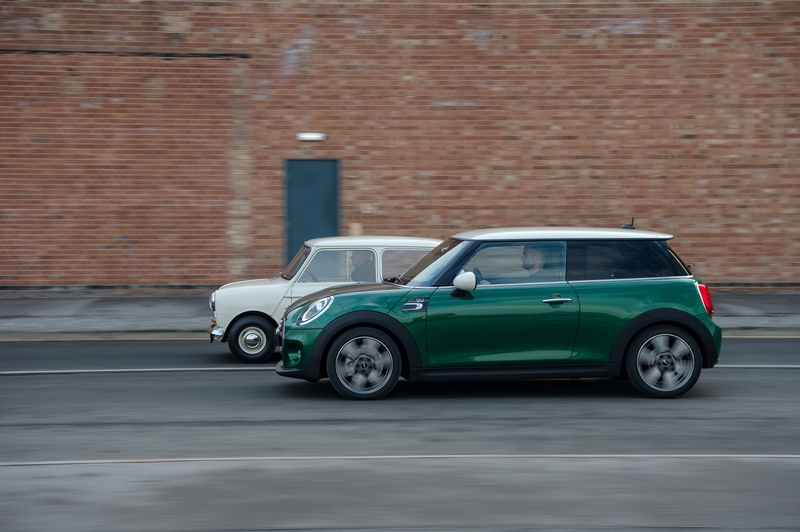 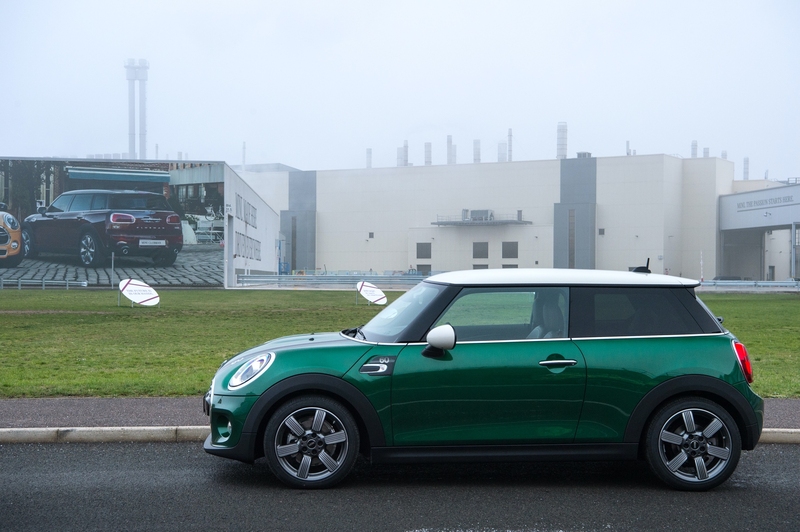 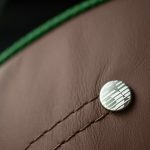 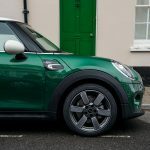 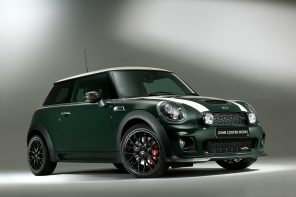 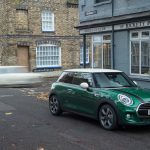 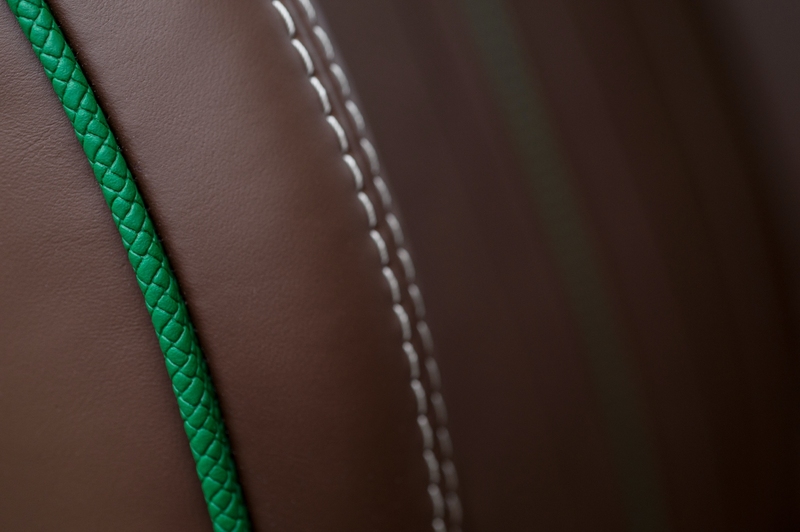 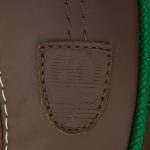 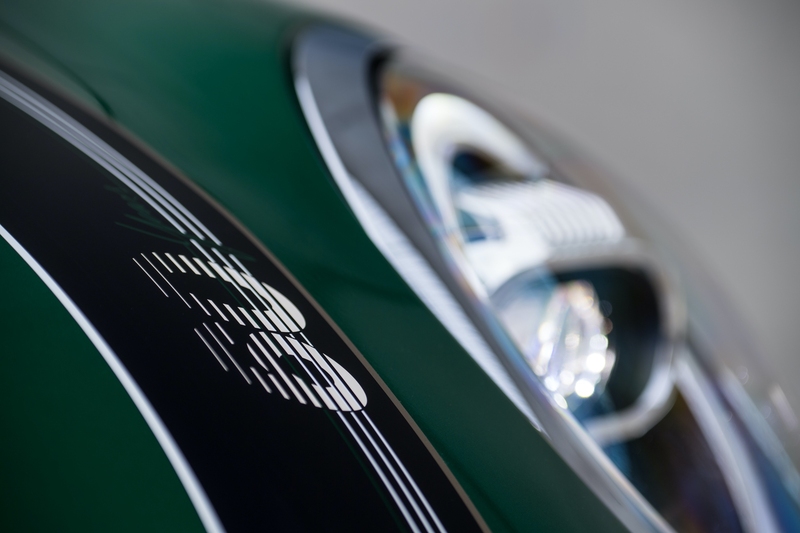 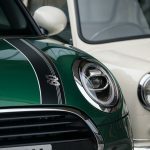 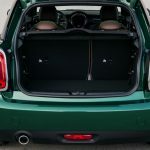 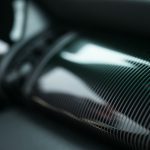 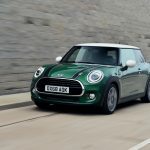 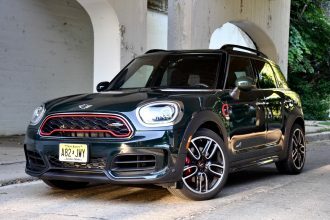 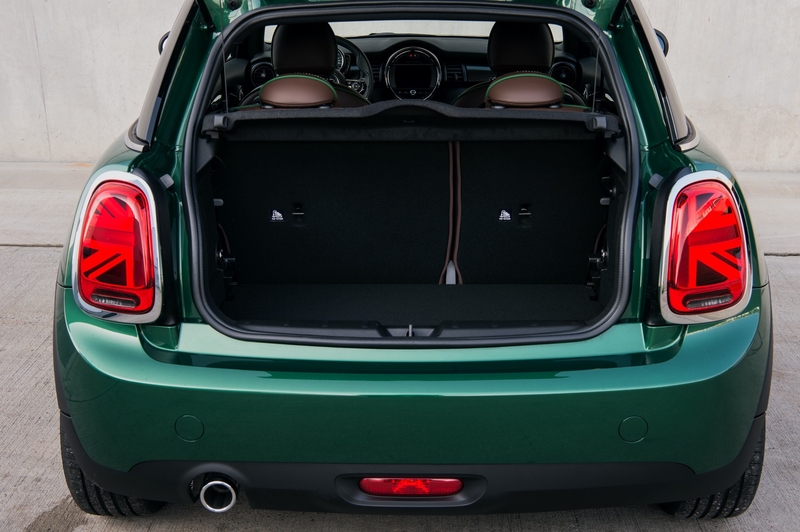 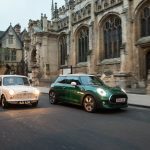 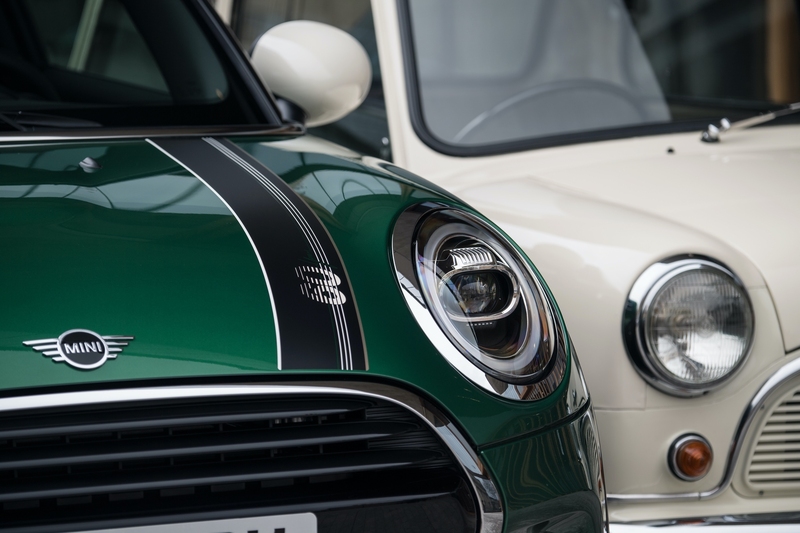 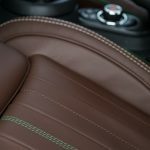 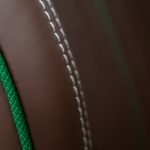 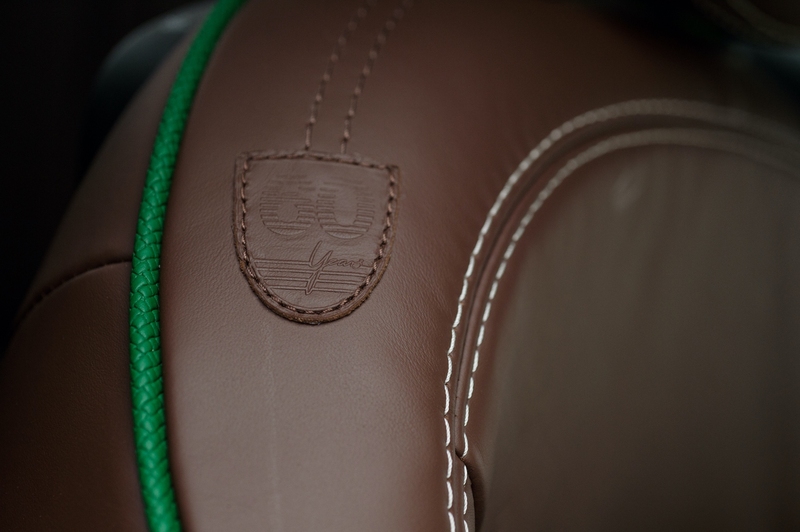 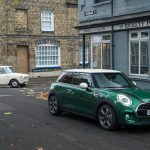 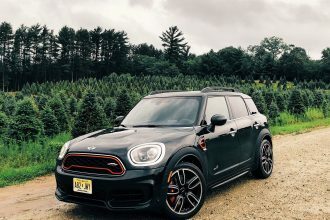 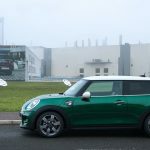 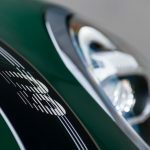 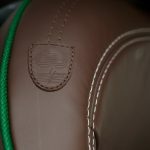 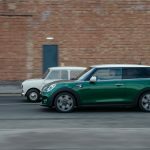 The special edition F56 and F55 hatch ushers in some new styling elements for the brand such as British Racing Green IV a Pepper White top and Exclusive two-tone 17 wheels as well as unique interior leather and trim. 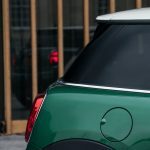 If BRG isn’t your style you can also choose from Midnight Black metallic, Moonwalk Grey metallic, Melting Silver metallic and MINI Yours Lapisluxury Blue non-metallic are also available as alternatives. 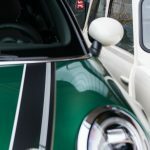 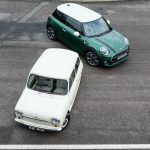 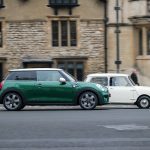 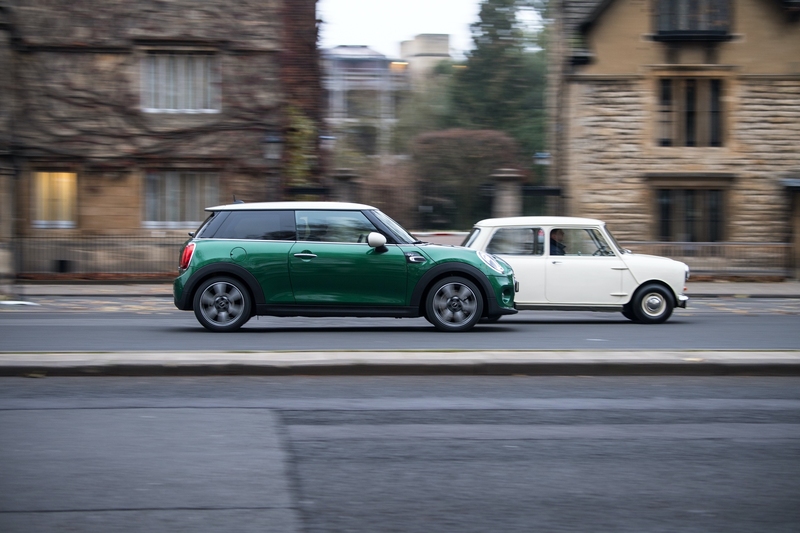 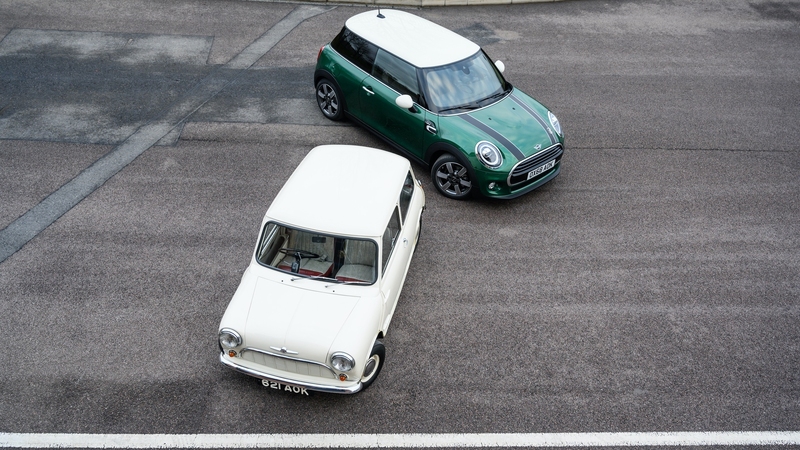 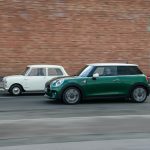 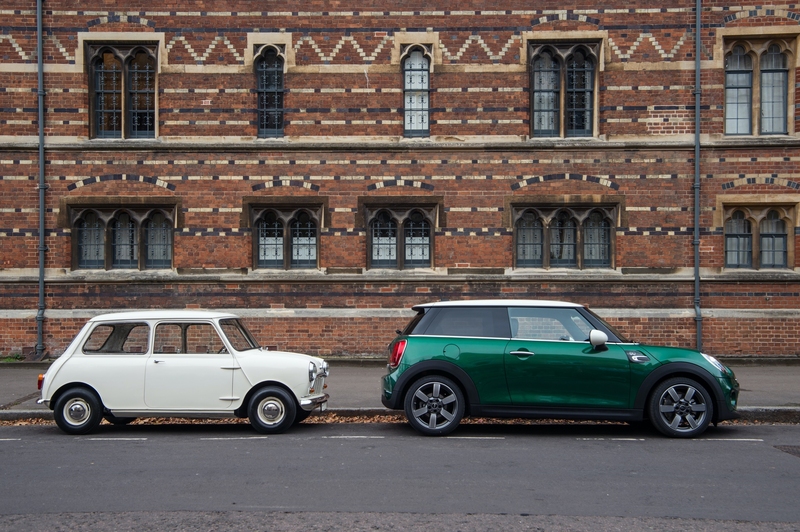 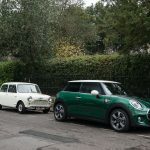 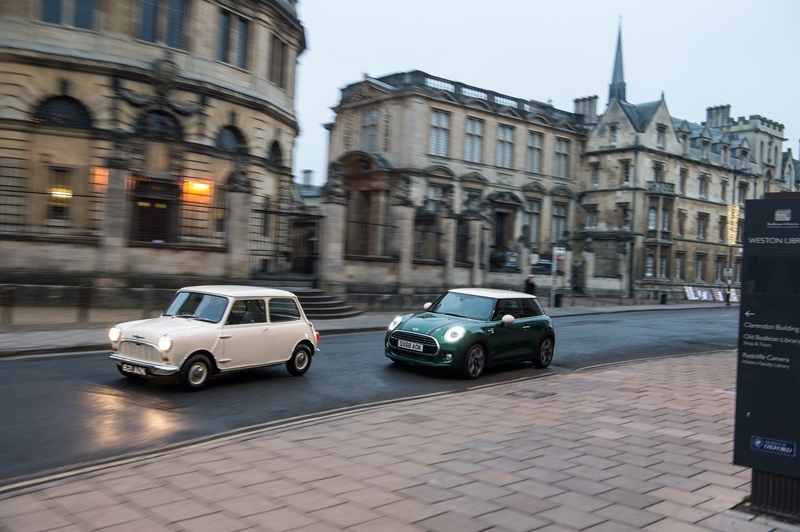 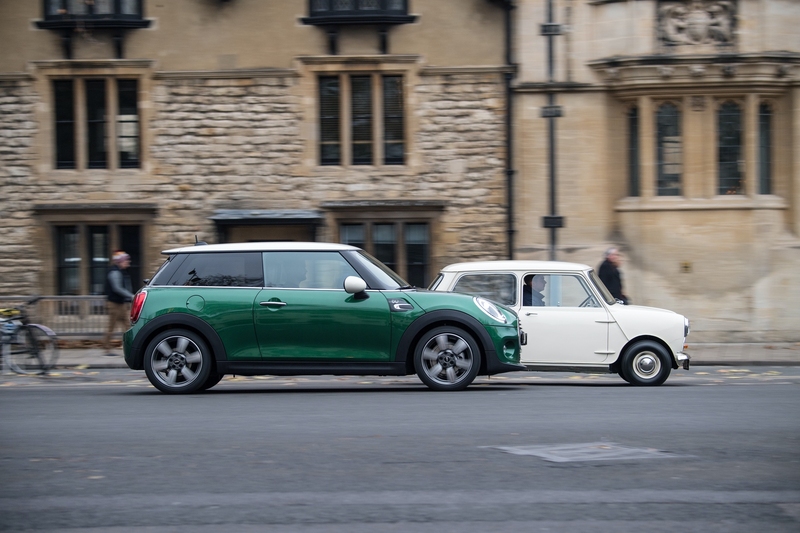 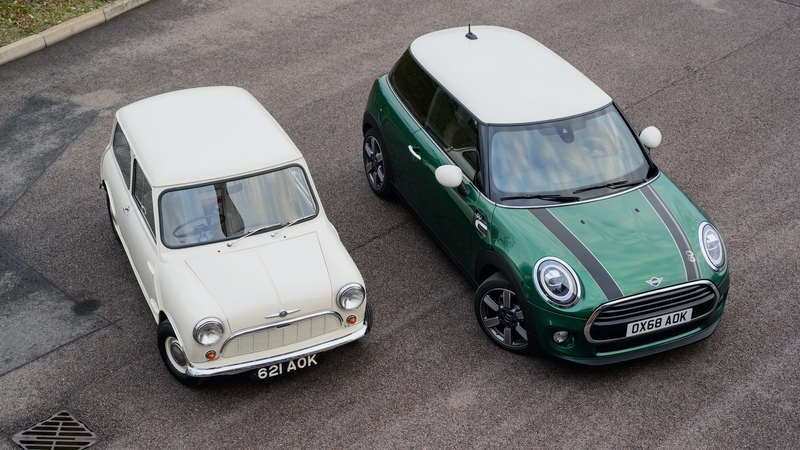 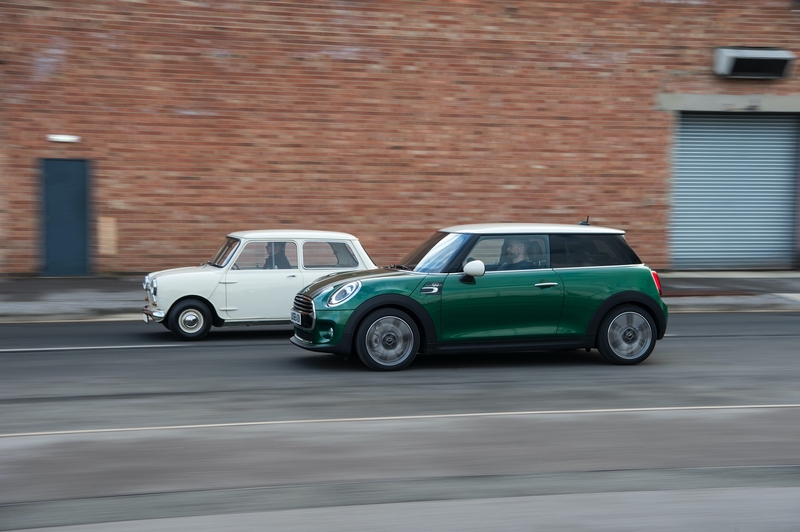 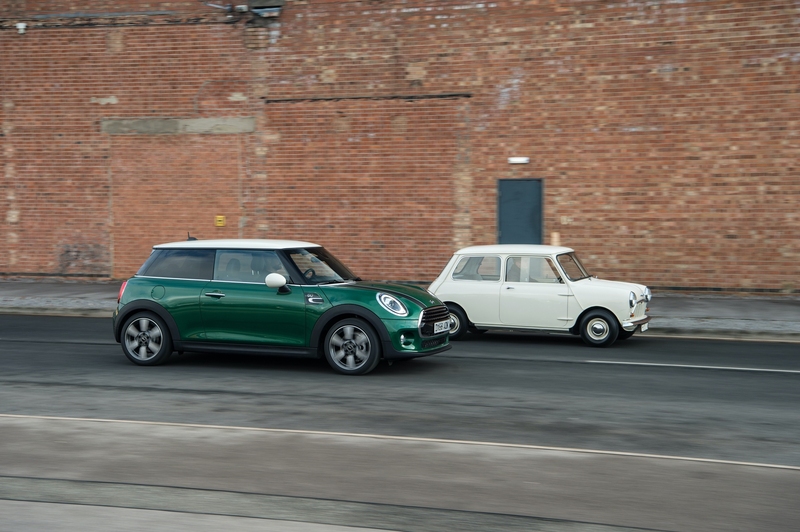 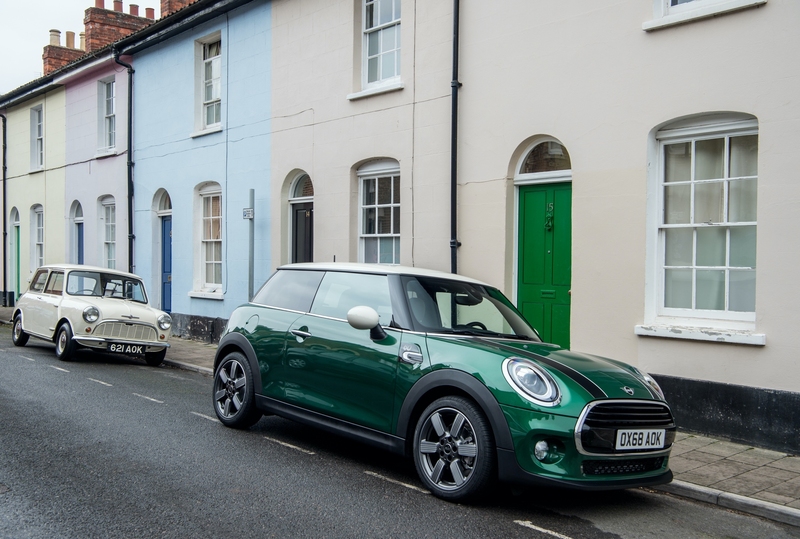 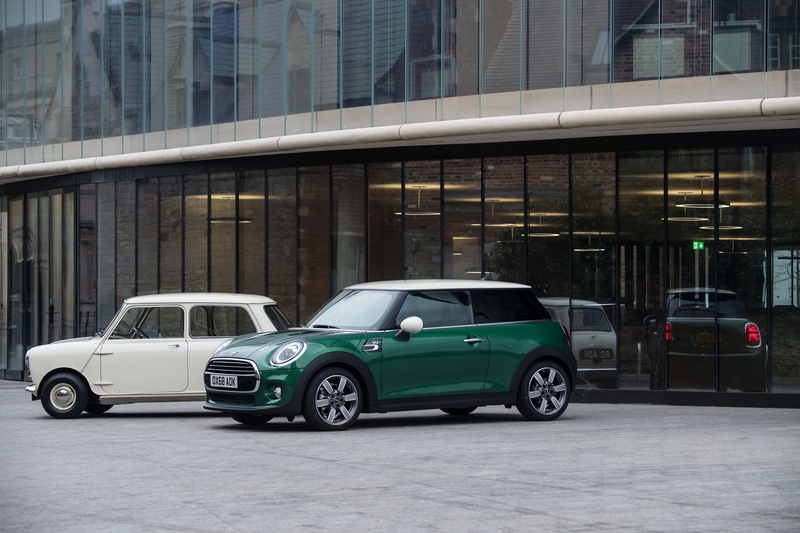 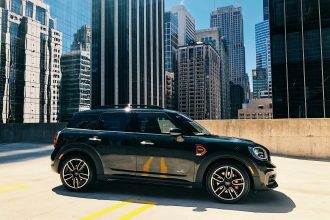 Whatever body color you choose, the MINI 60 Years Edition is finished off in Pepper White (making its first roof appearance since the 2009 WC50) or Black for the roof and exterior mirror caps. 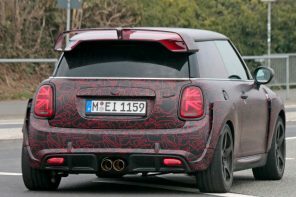 It’s unclear what markets will be getting this special edition model but it’s assumed all major markets will receive some allocation. 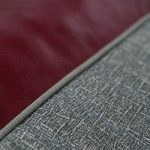 Stay tuned for specific news on US availablility. 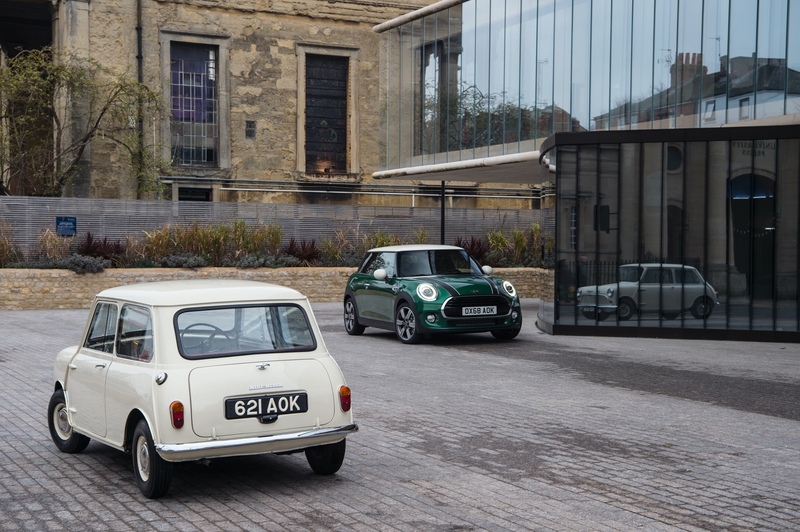 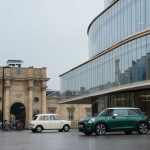 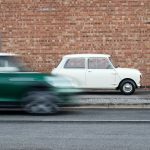 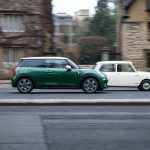 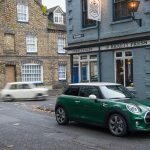 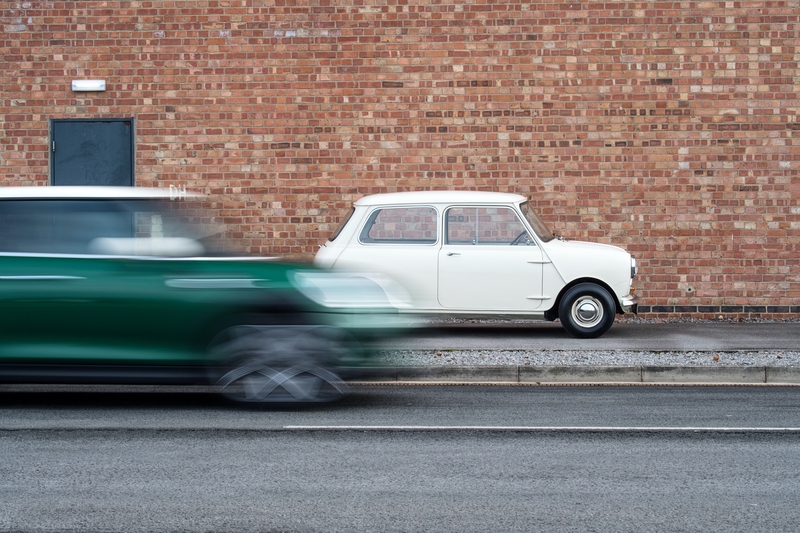 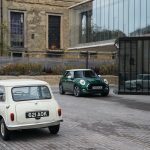 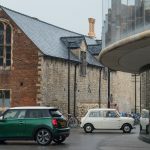 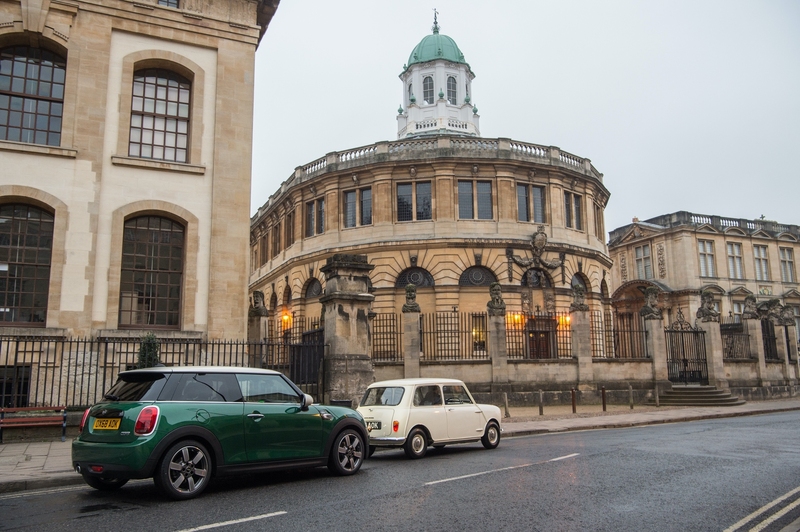 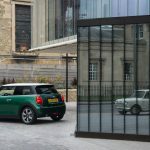 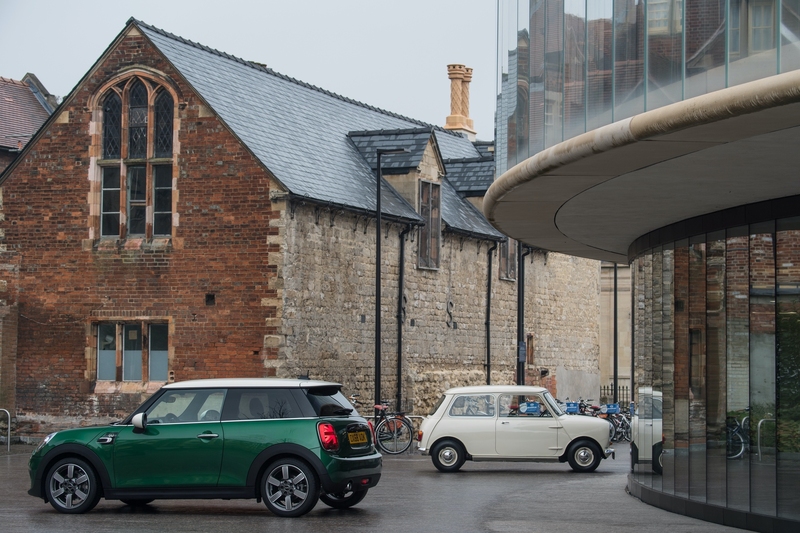 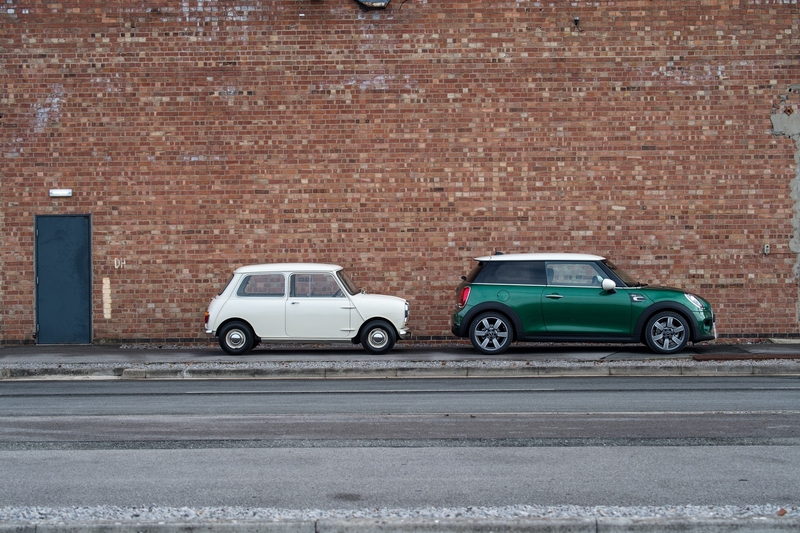 An original that constantly reinvents itself – firmly rooted in tradition yet always open to change: this is MINI, 60 years after the launch of the small British car that brought worldwide popularity to unique properties such as go-kart feeling and the creative use of space. 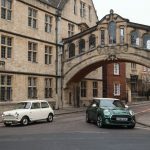 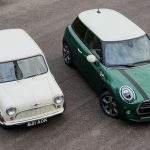 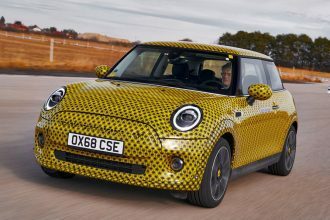 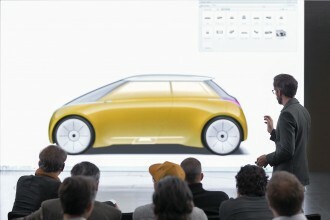 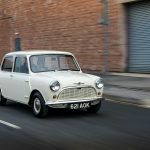 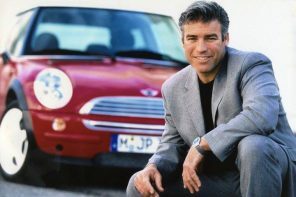 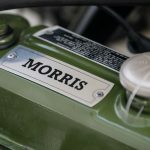 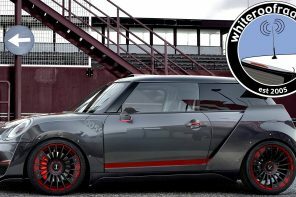 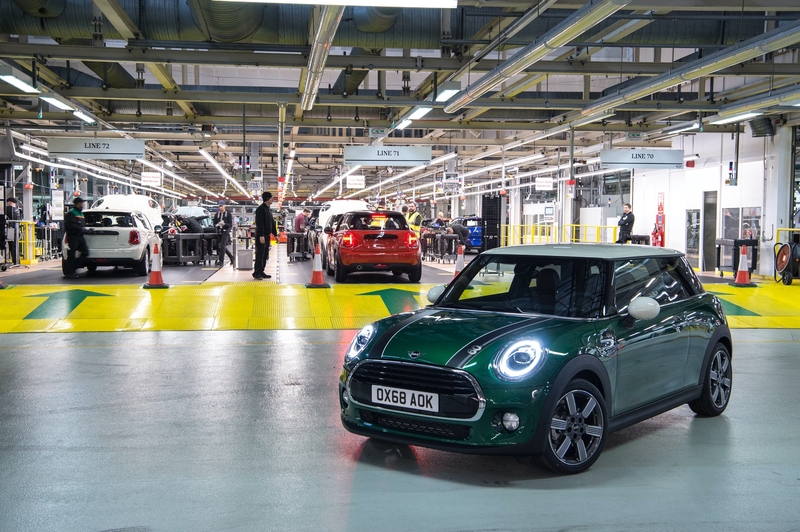 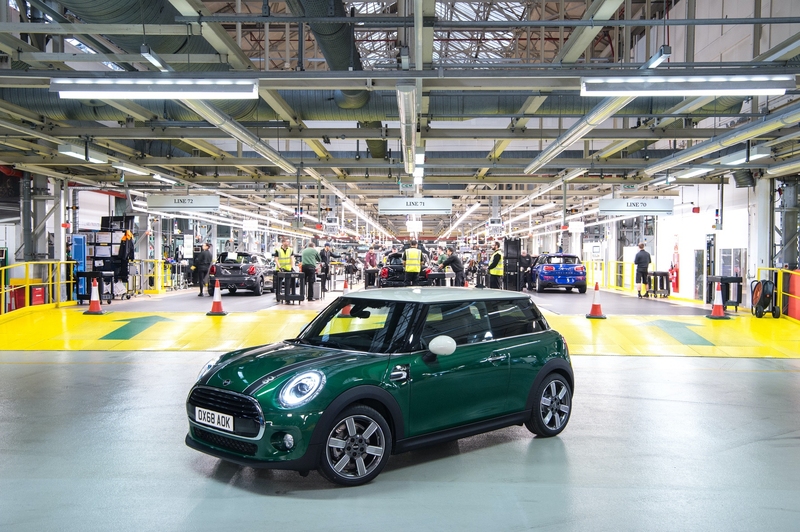 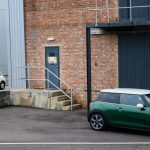 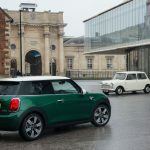 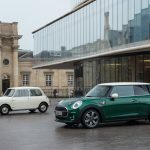 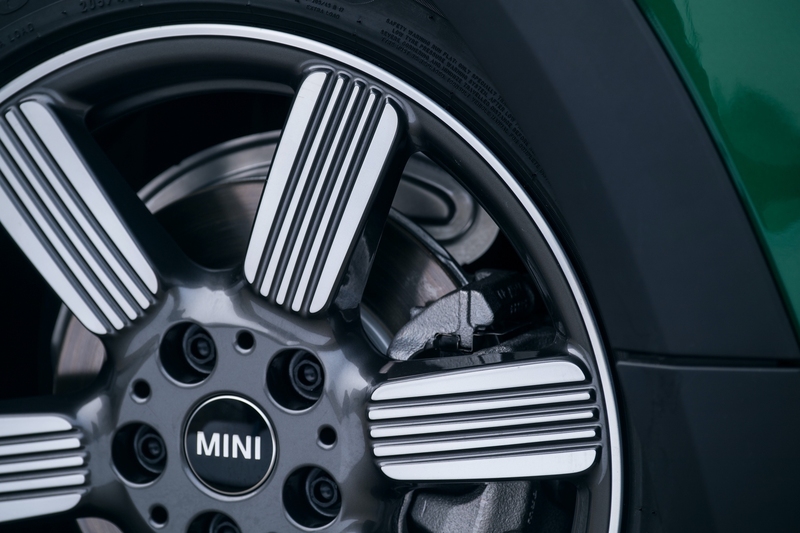 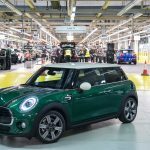 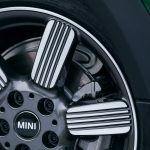 To mark this round anniversary, the premium automobile manufacturer presents a design model that highlights both its British origins and the agile MINI character. 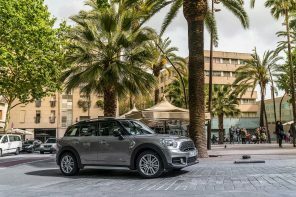 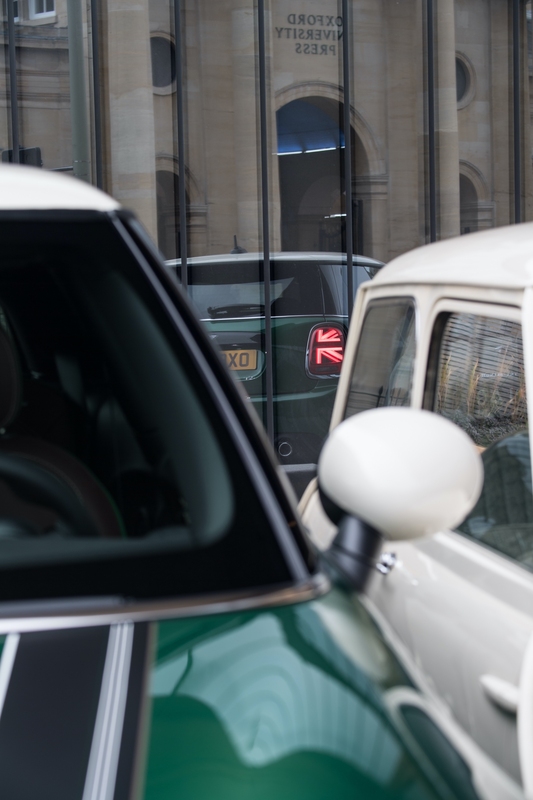 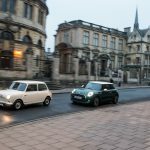 With design and equipment features that are both high-quality and exclusive, the MINI 60 Years Edition expresses the brand’s sporting spirit – something that is a constant presence even in everyday urban traffic. 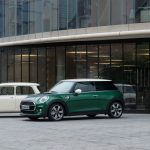 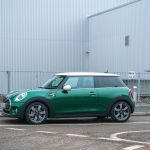 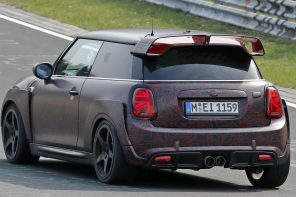 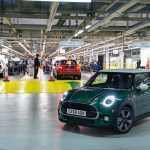 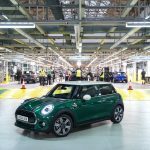 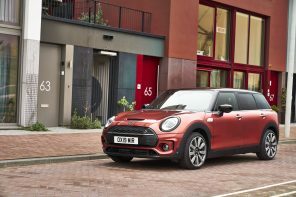 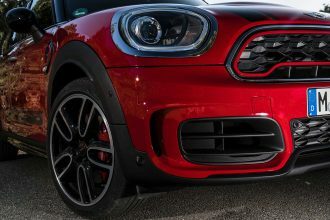 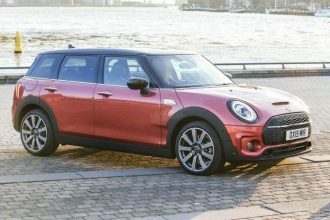 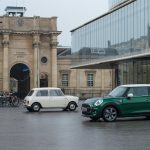 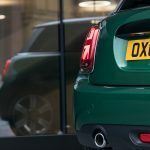 The special edition will be available from March 2019 onwards as a MINI 3 Door and MINI 5 Door, each with four engine variants. 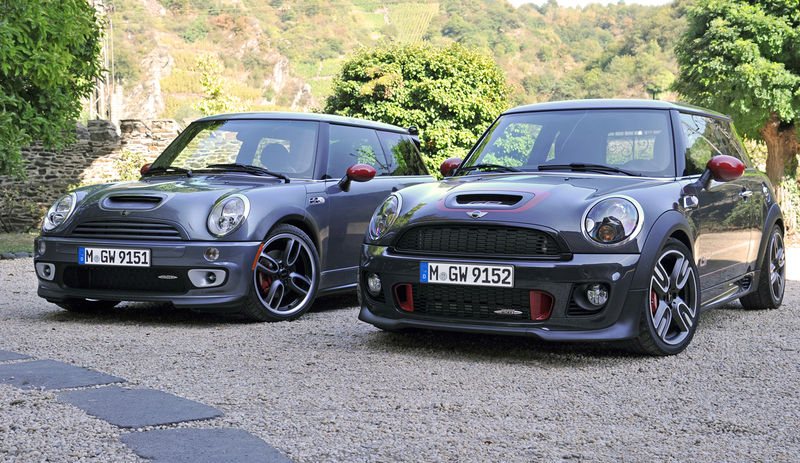 Athletic talent is part and parcel of the MINI genes. 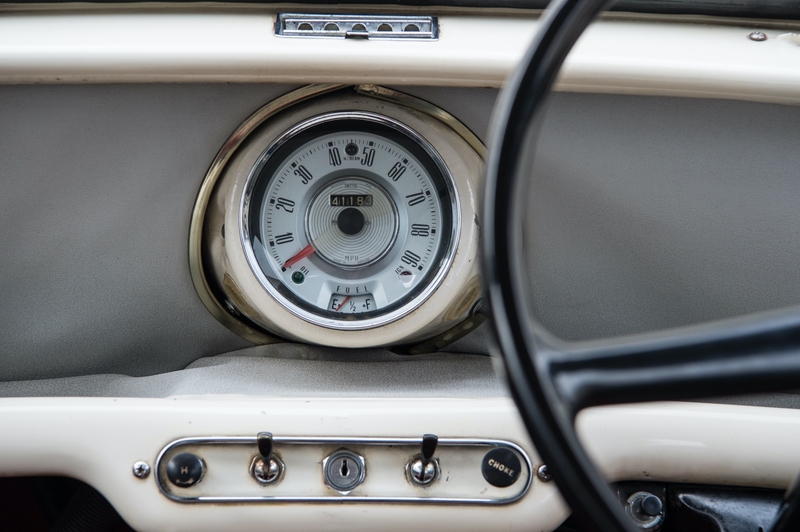 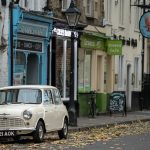 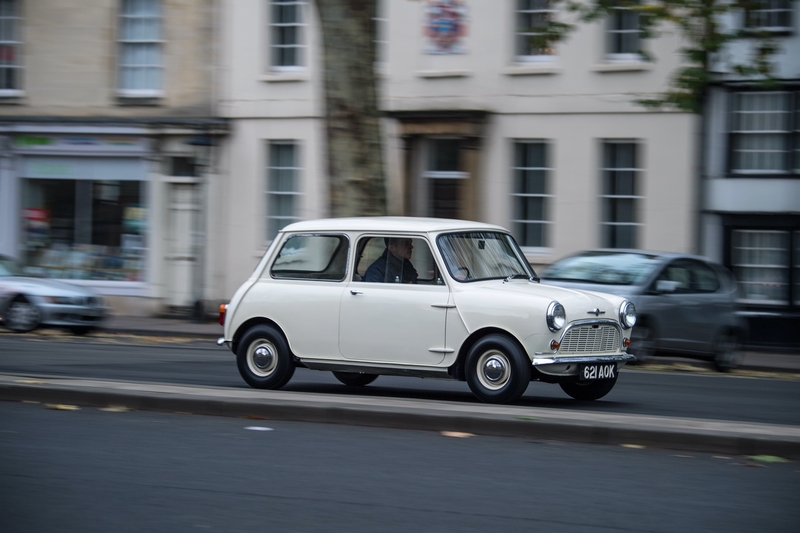 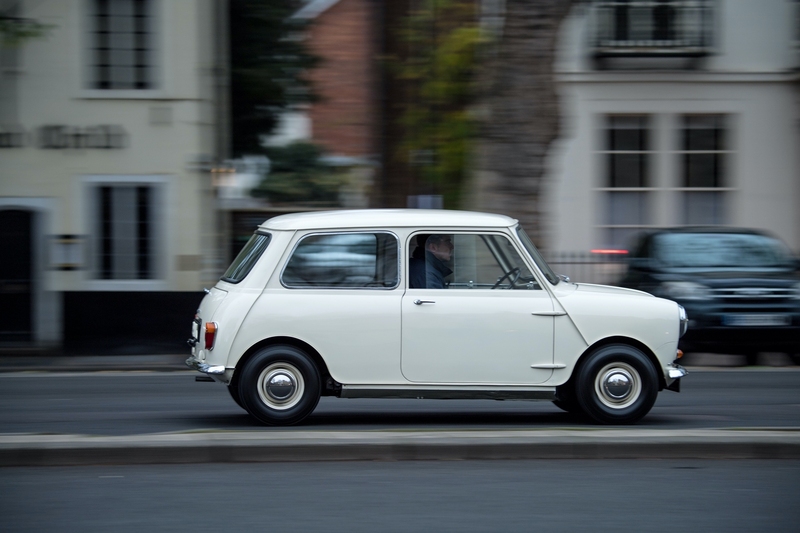 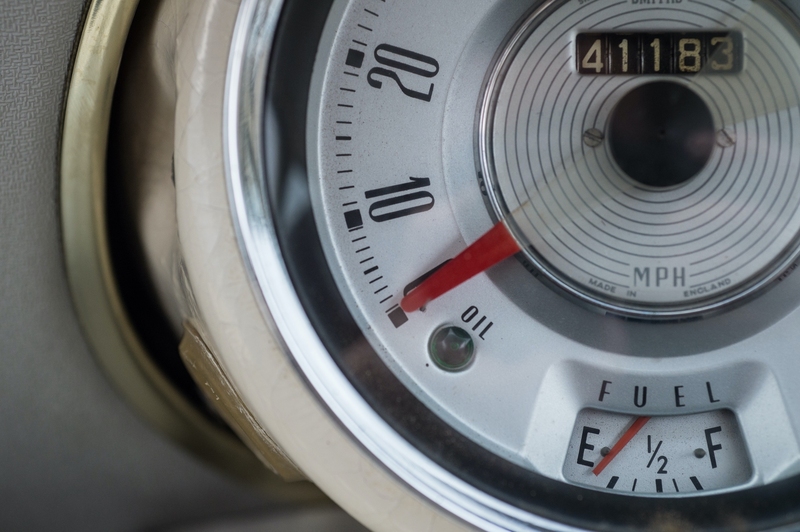 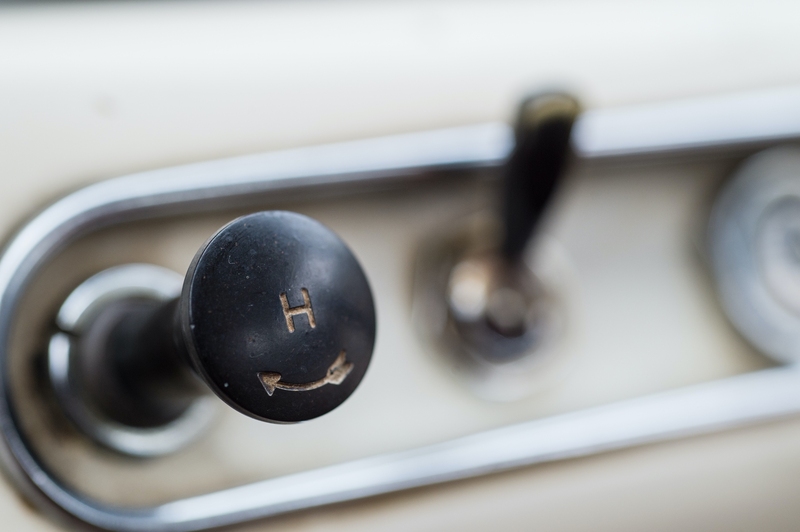 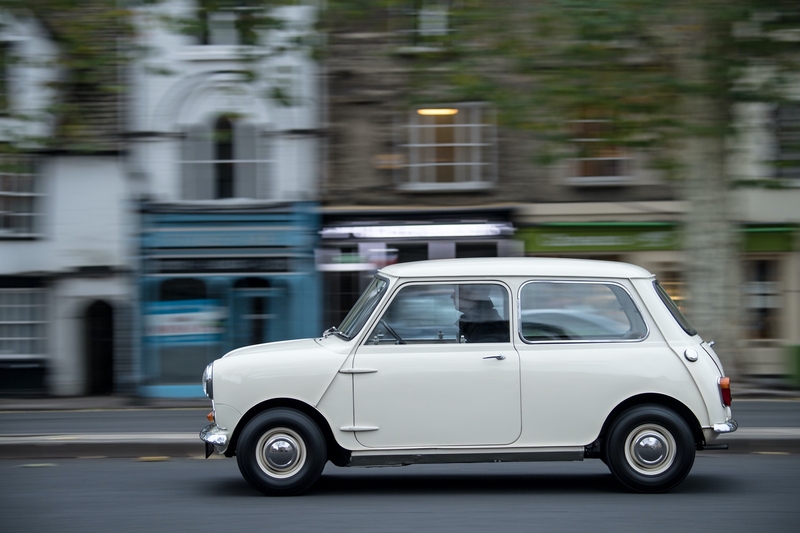 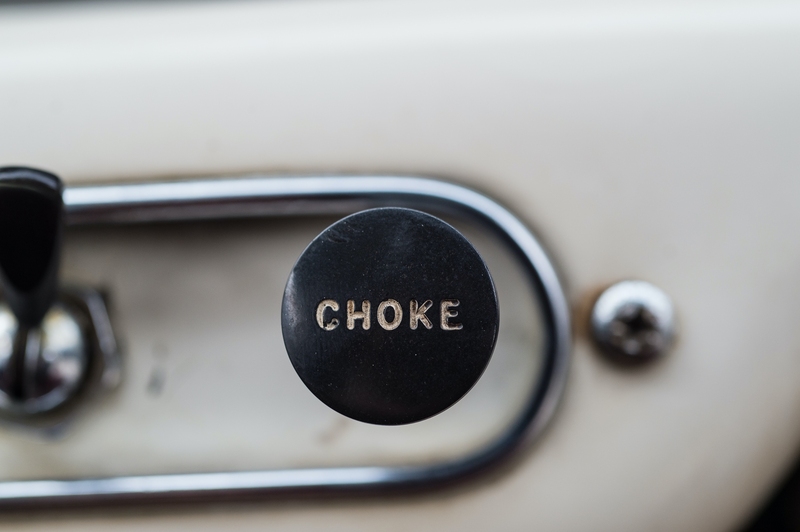 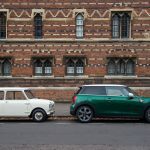 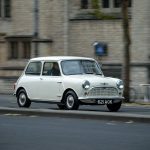 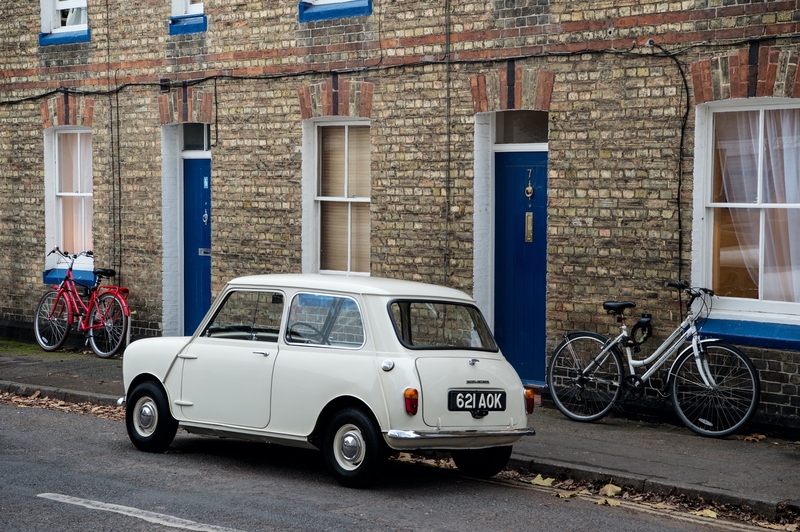 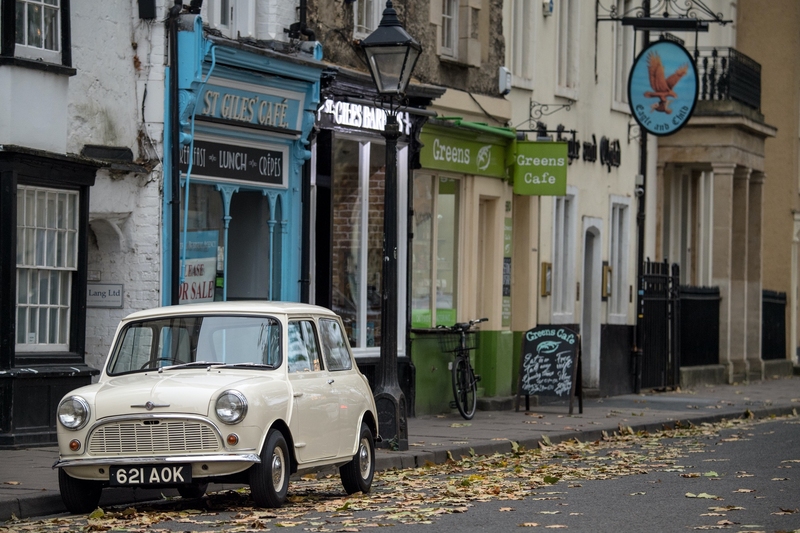 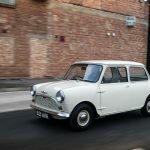 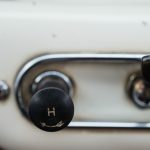 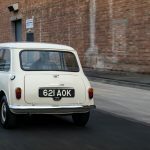 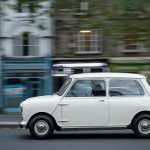 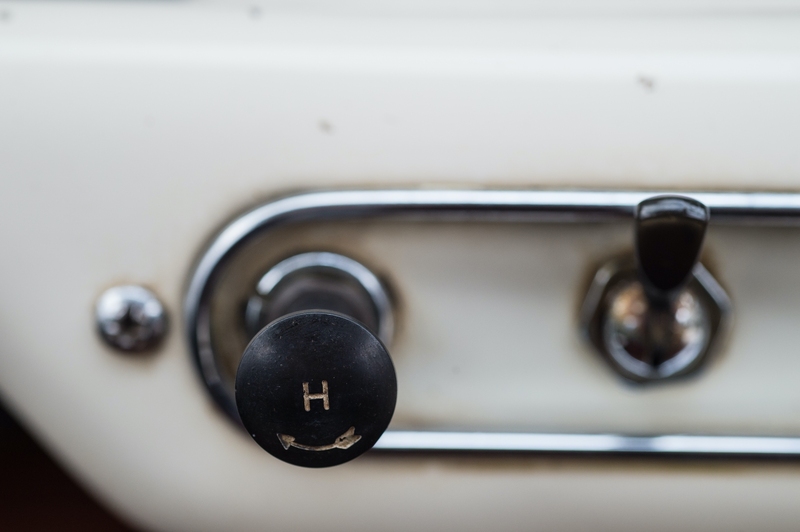 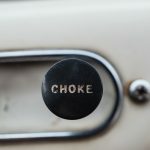 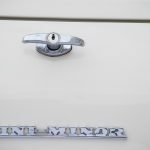 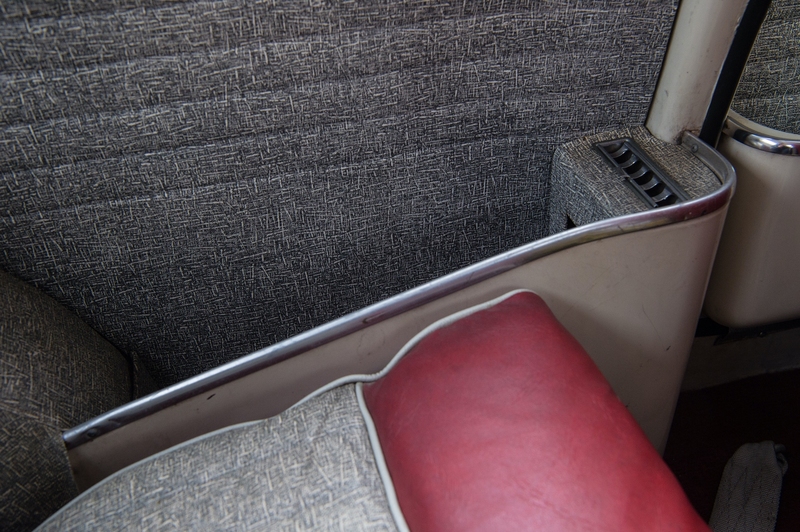 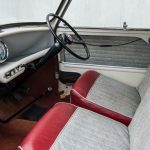 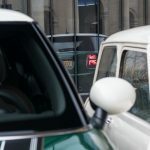 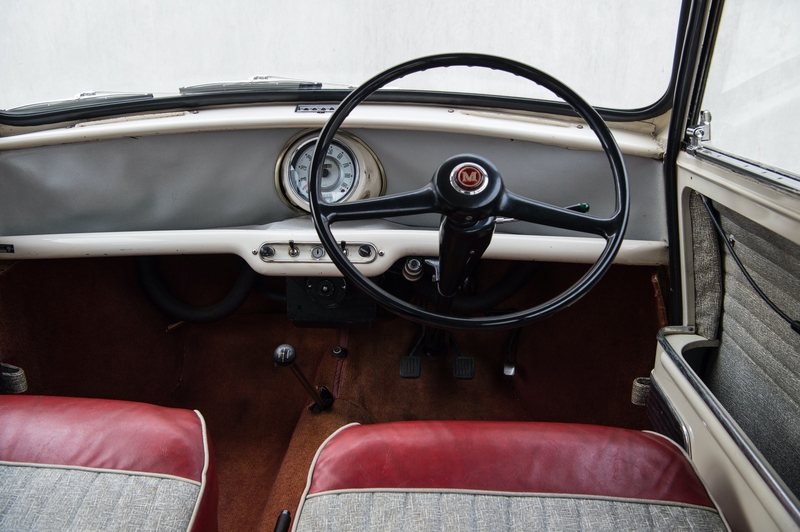 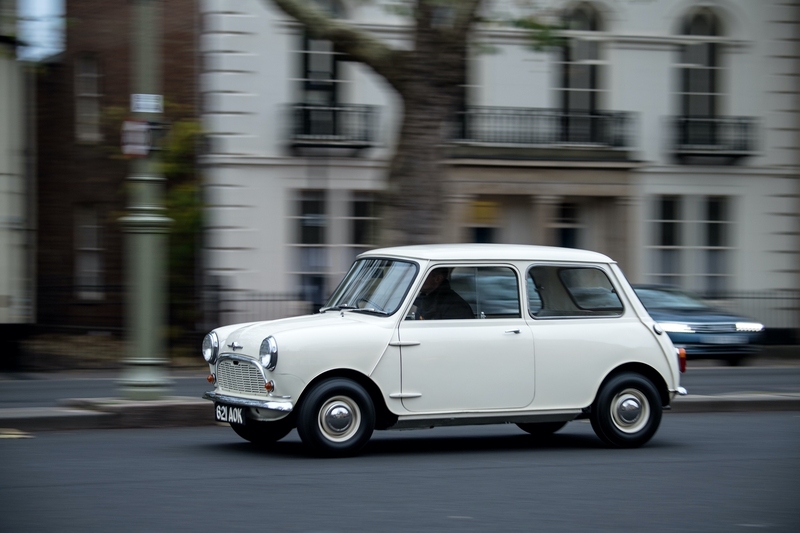 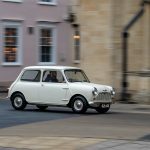 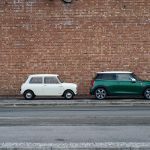 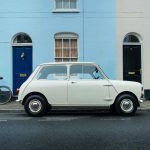 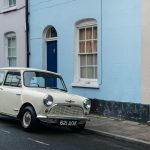 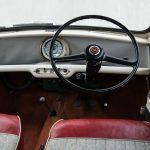 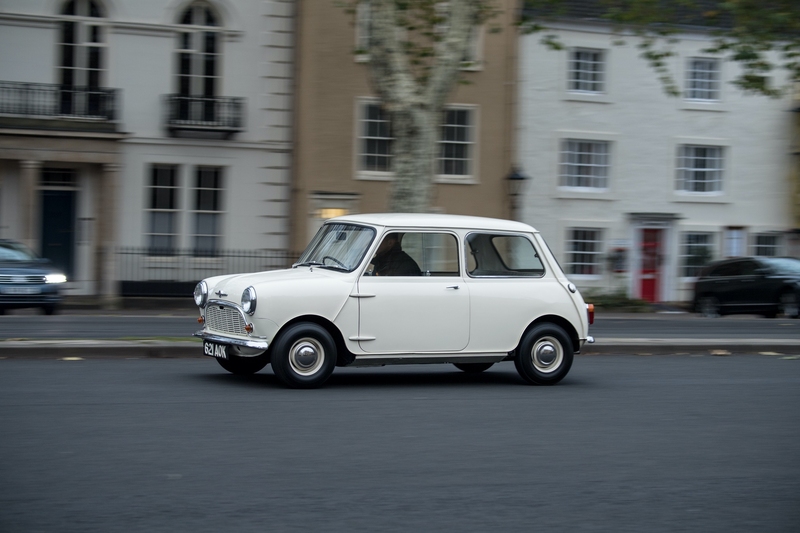 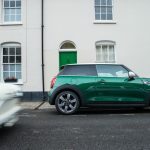 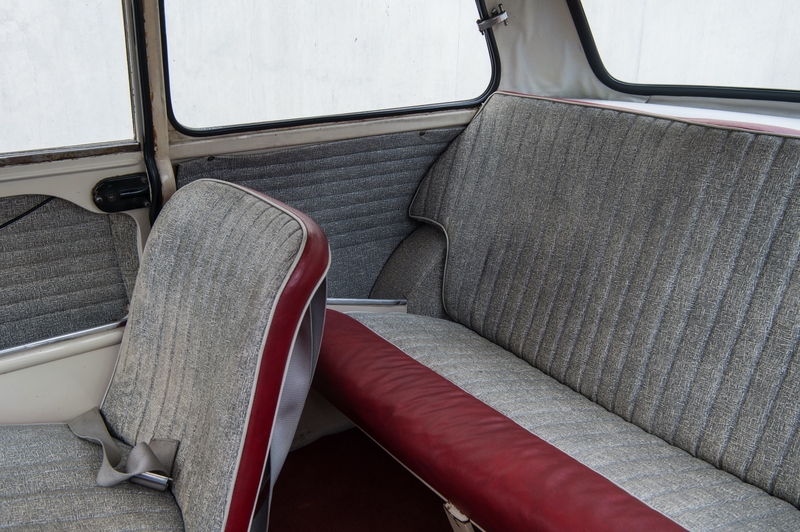 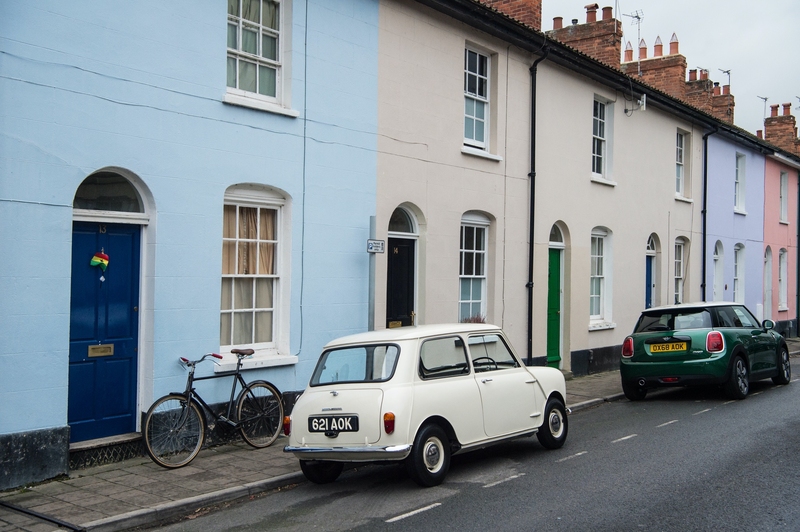 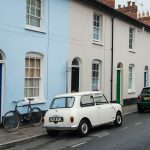 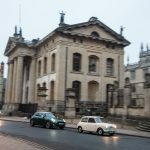 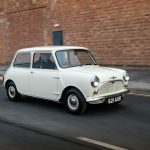 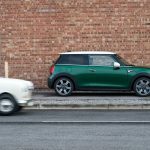 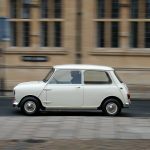 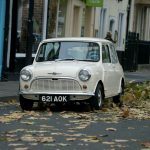 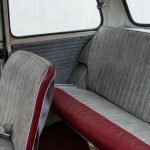 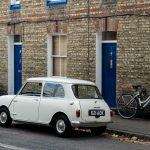 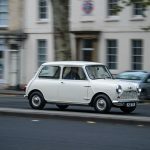 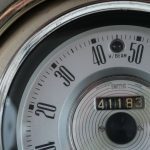 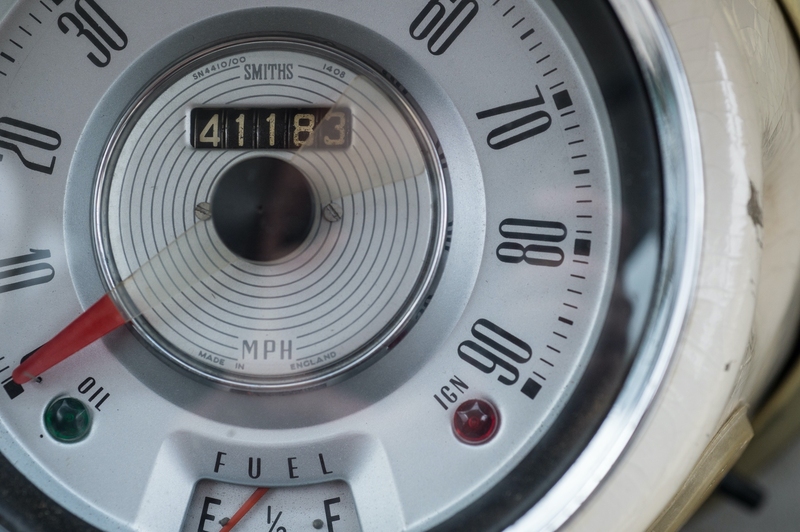 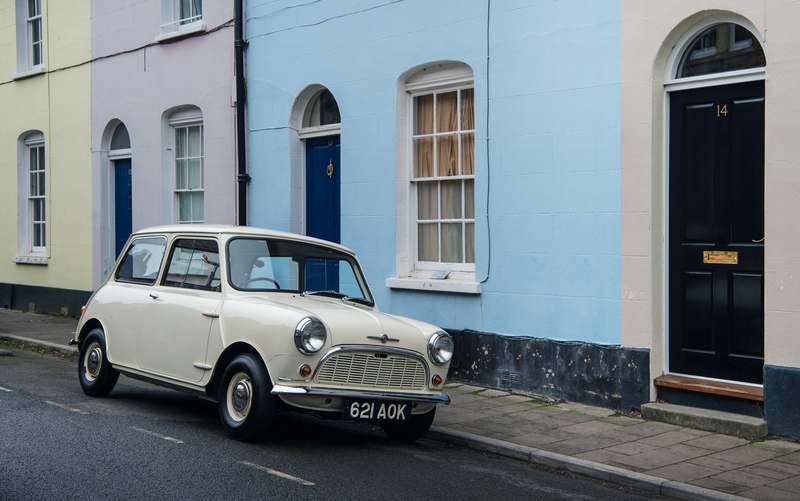 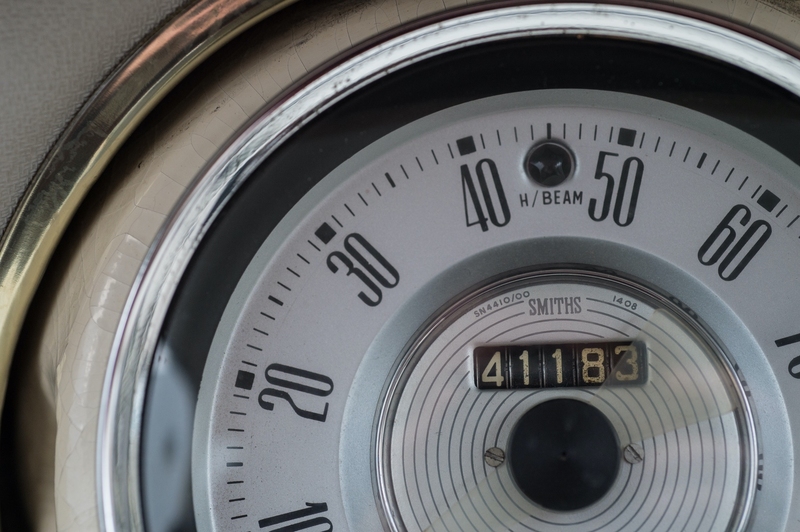 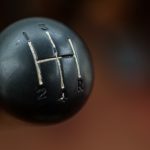 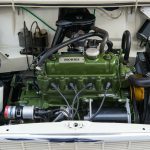 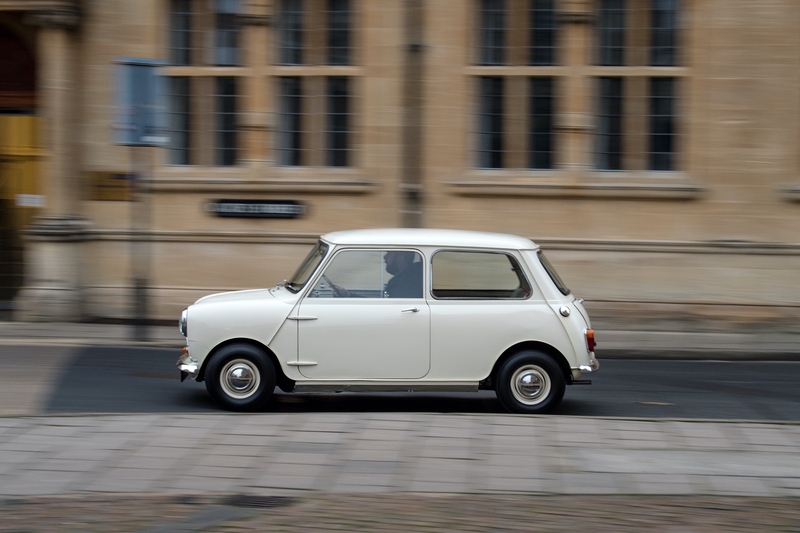 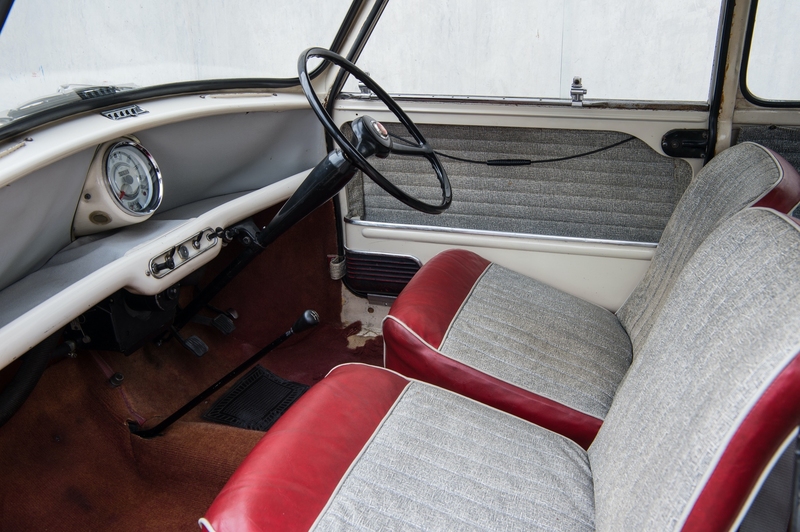 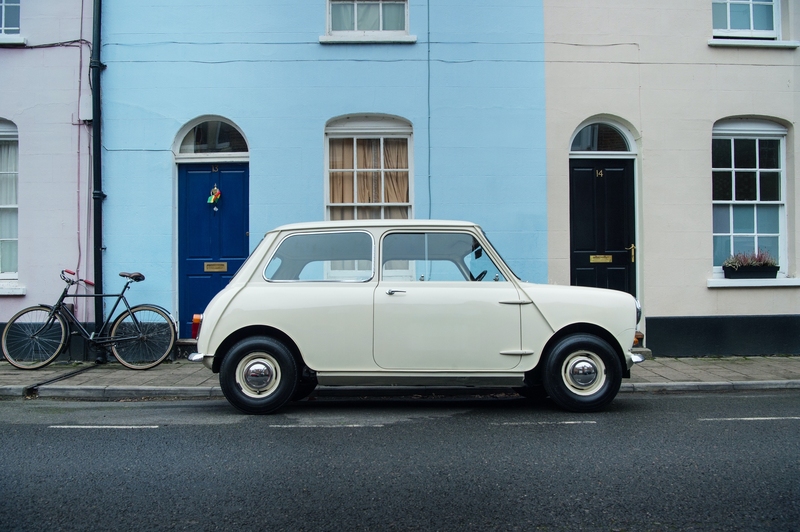 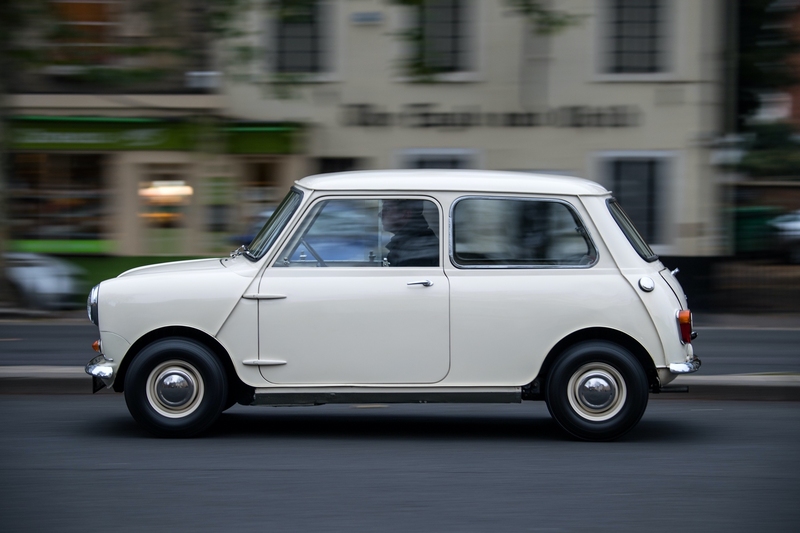 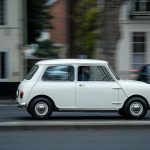 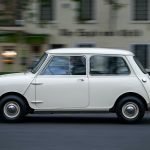 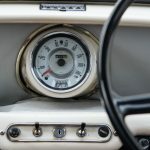 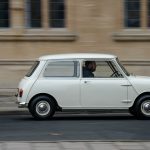 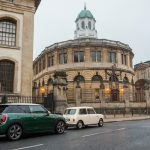 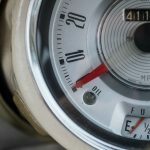 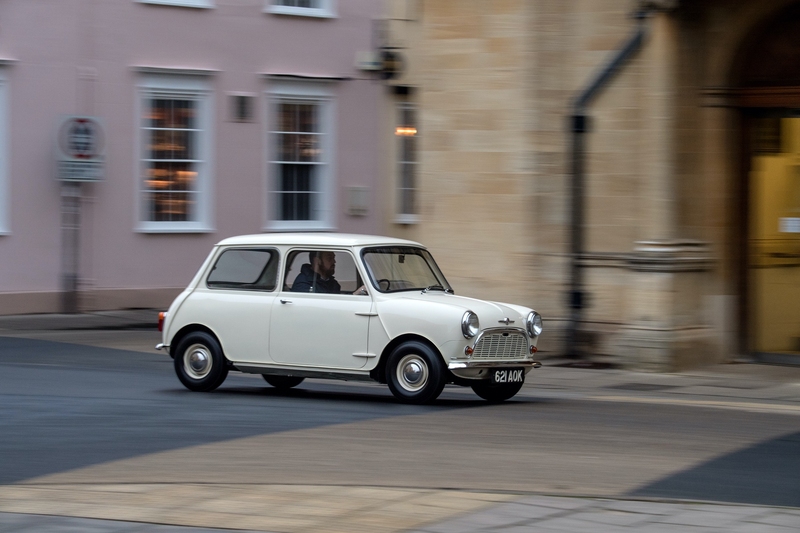 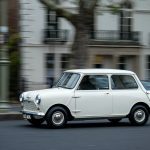 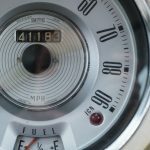 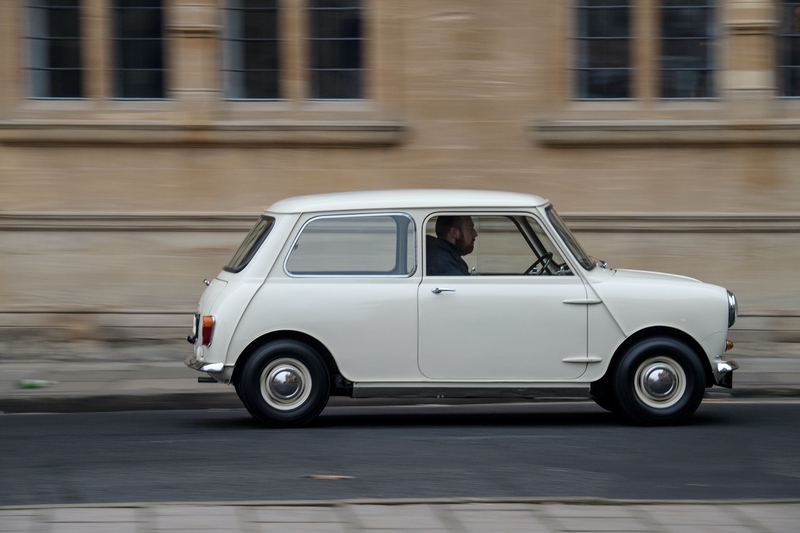 Even before the launch of the classic Mini in the summer of 1959, it was clear that the design features of the new small car would benefit not just interior space but also the car’s agile driving properties. 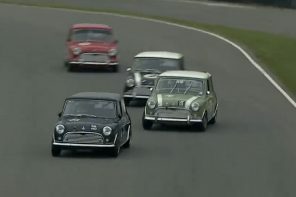 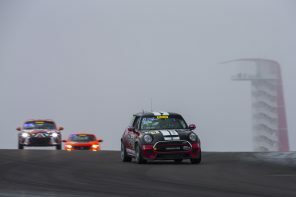 Sports car designer John Cooper was an especially strong believer in the compact four-seater’s race track potential. 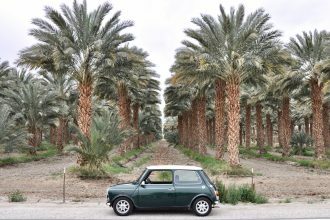 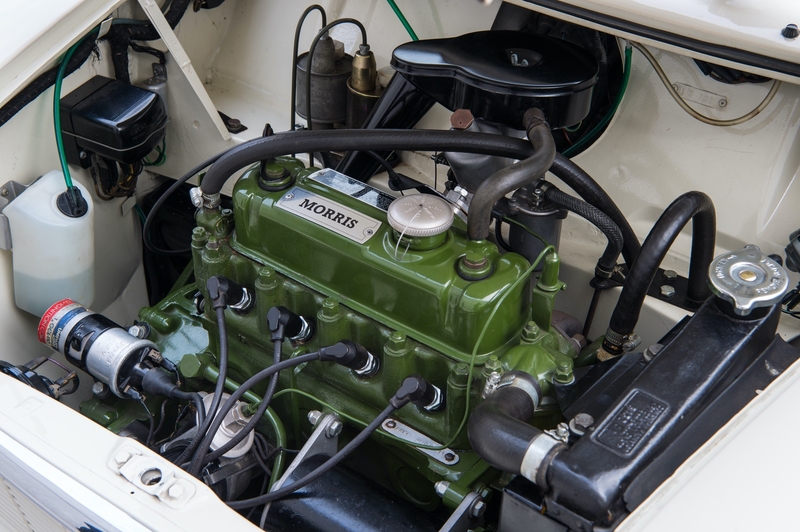 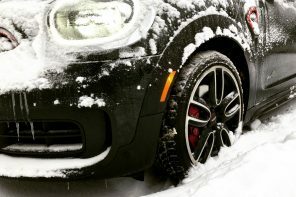 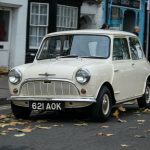 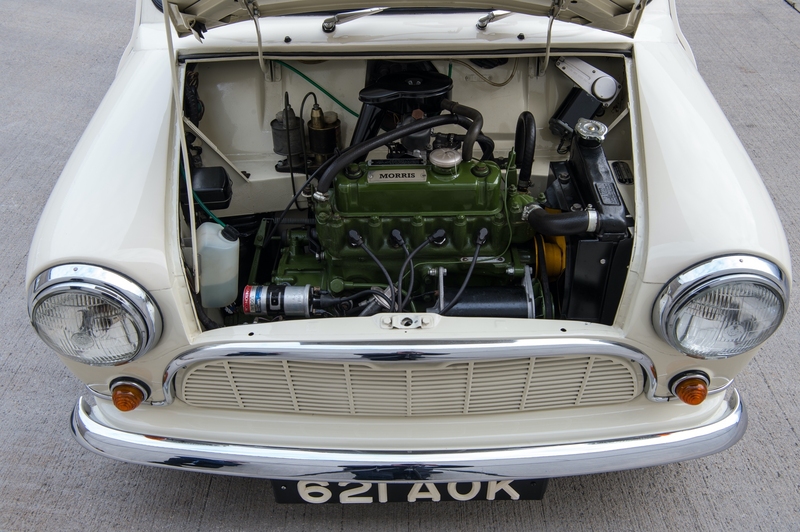 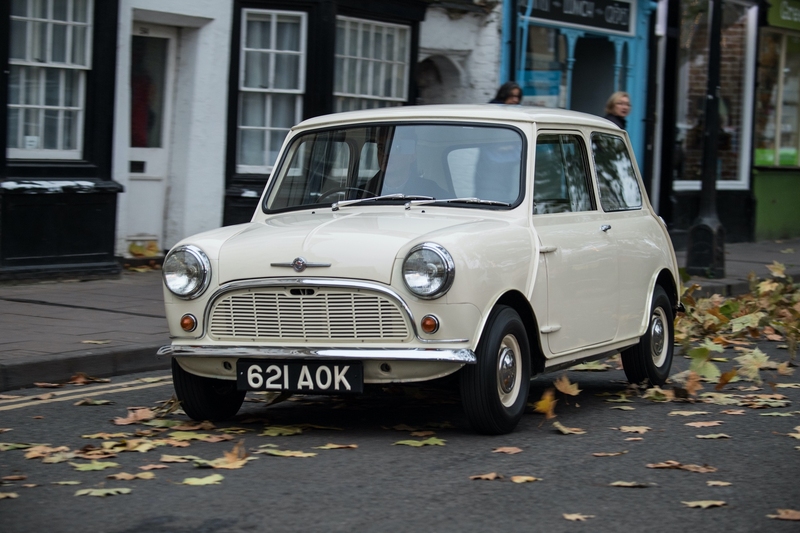 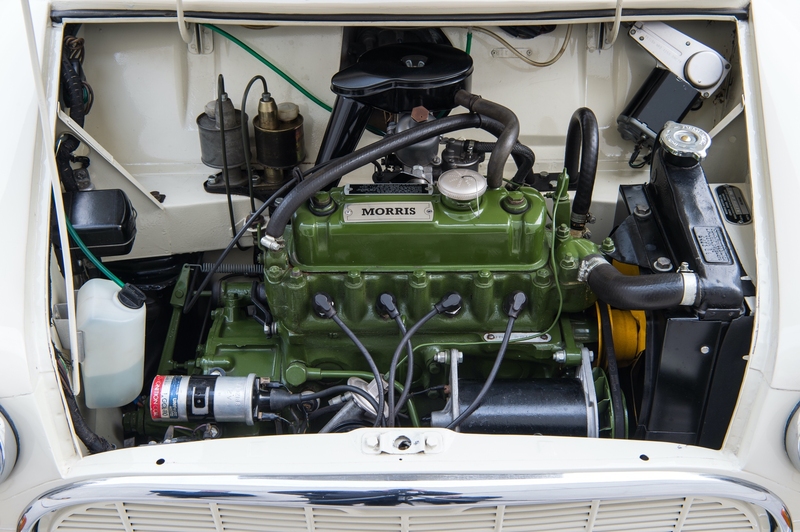 In collaboration with Alec Issigonis, the creator of the classic Mini, he developed ideas for variants of the small car with a more powerful engine, thereby laying the foundations for an exceptional career on racing circuits and rally tracks, culminating in three outright victories at the Monte Carlo Rally in the 1960s. 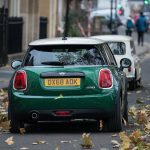 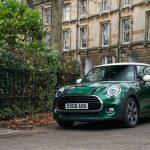 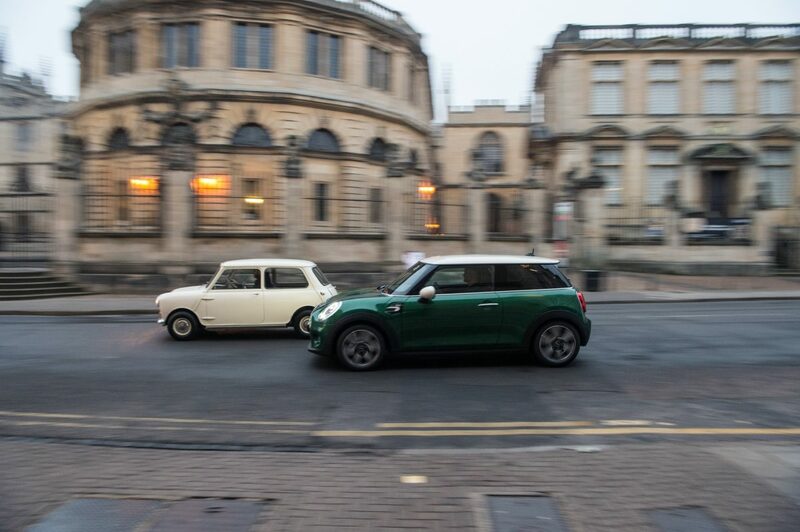 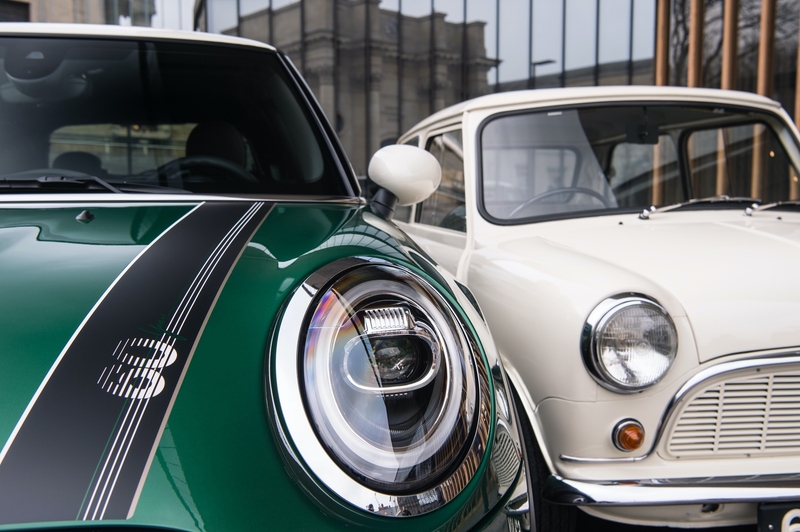 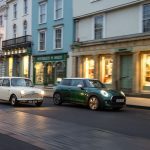 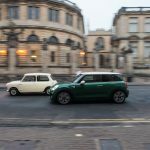 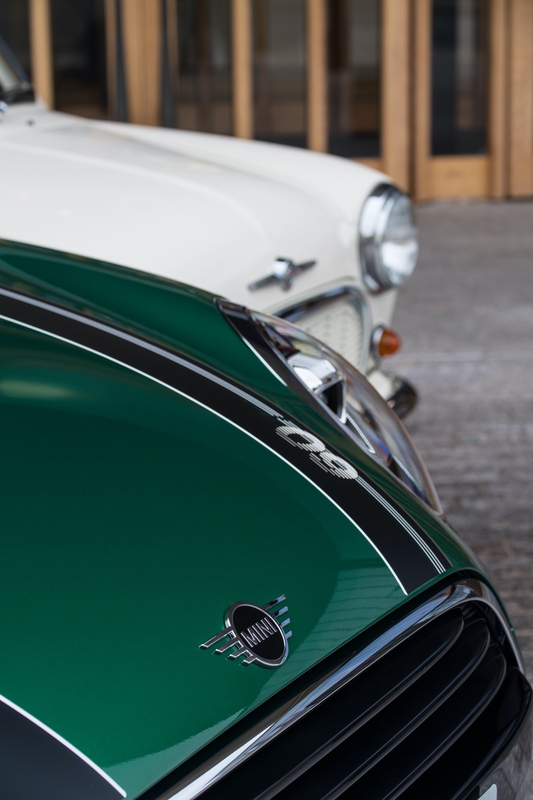 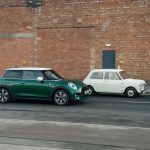 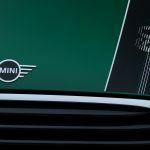 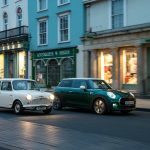 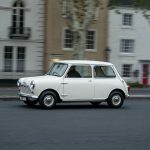 With a paint finish in the classic colour of British racing cars, the MINI 60 Years Edition in particular evokes the brand’s sporty career, which it started at a very early stage and has maintained up until the recent past. 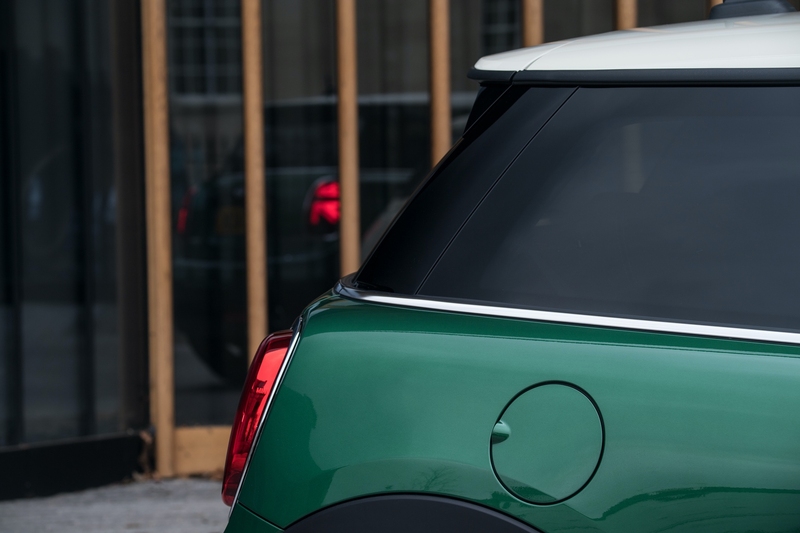 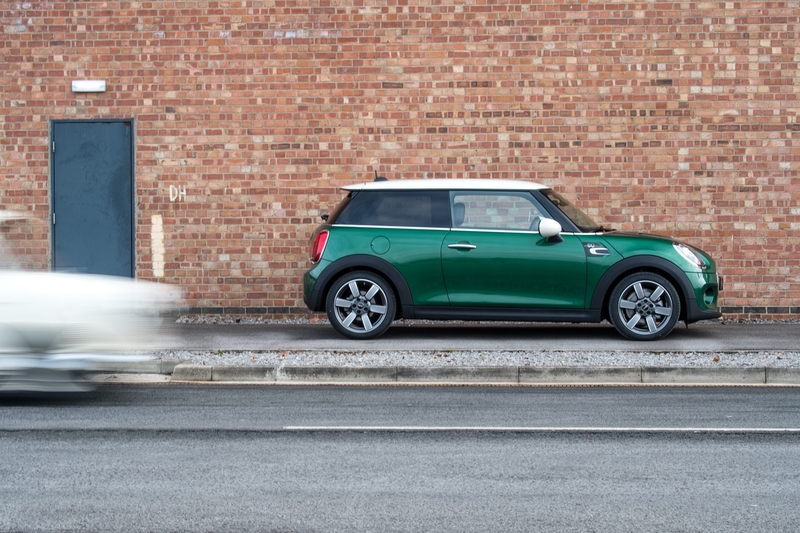 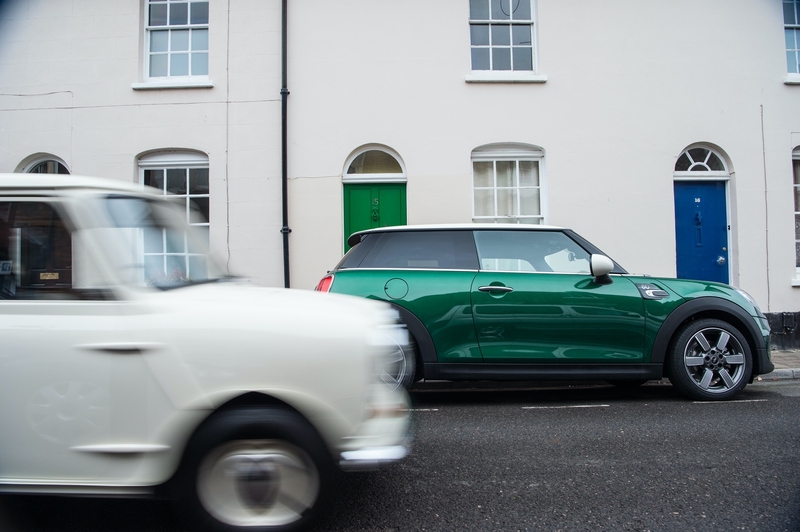 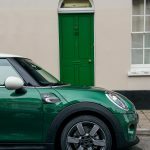 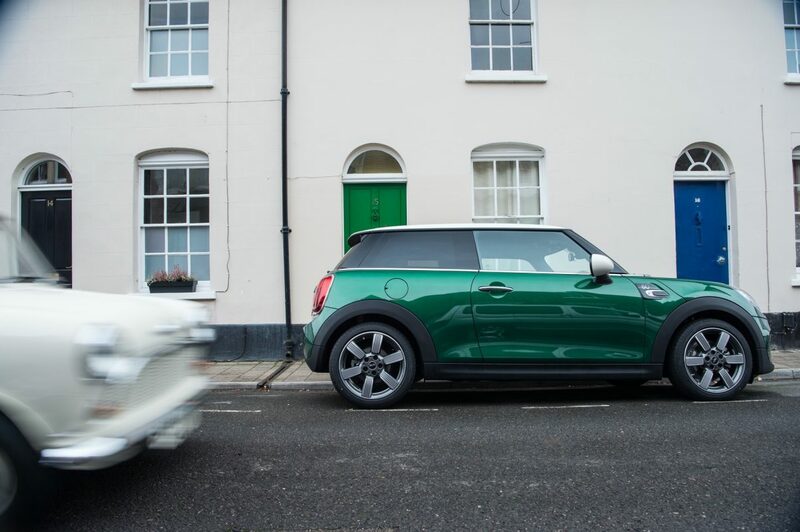 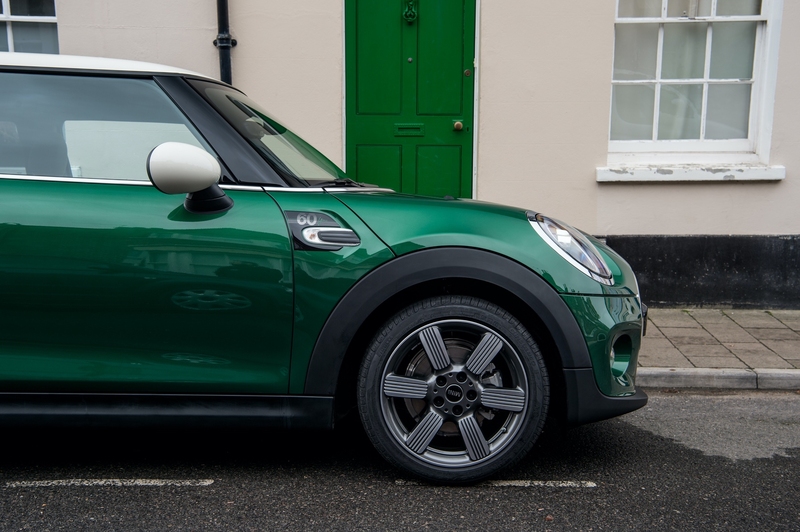 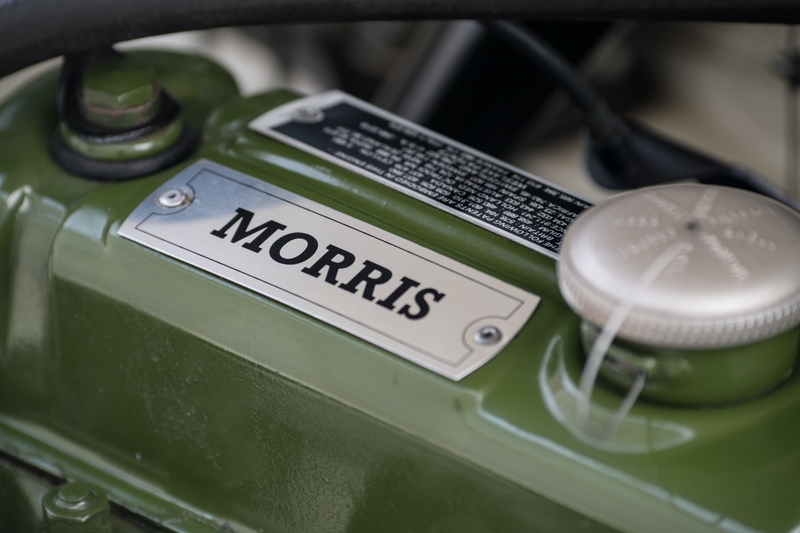 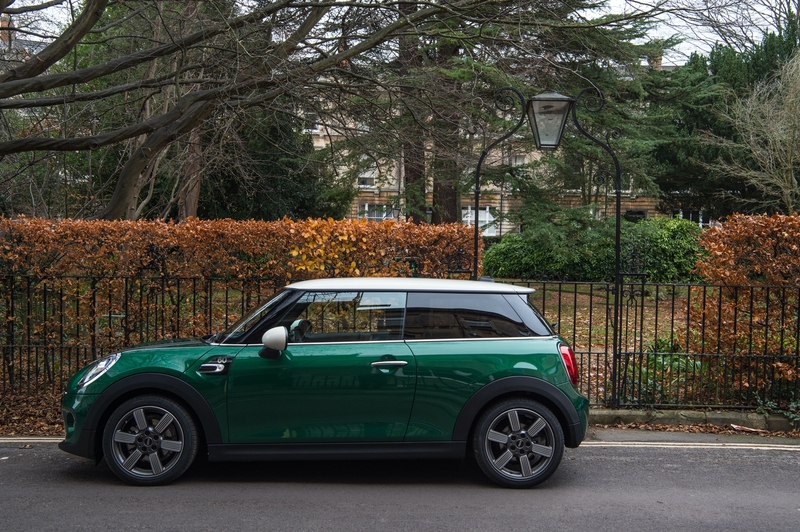 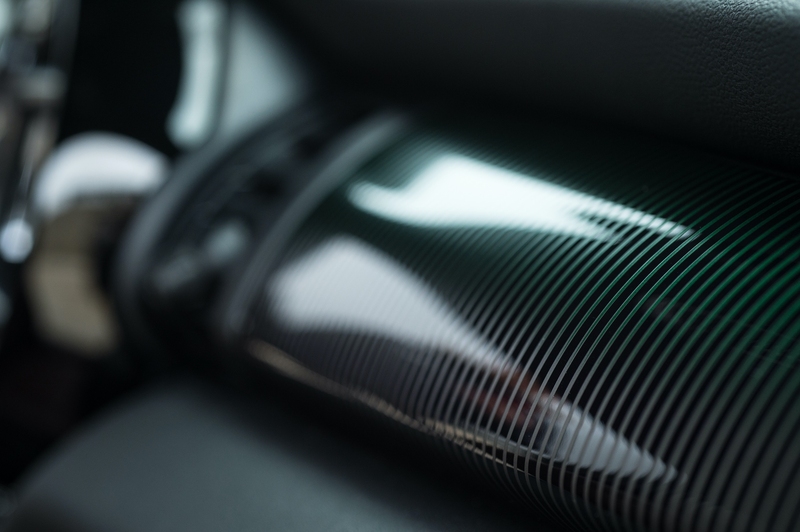 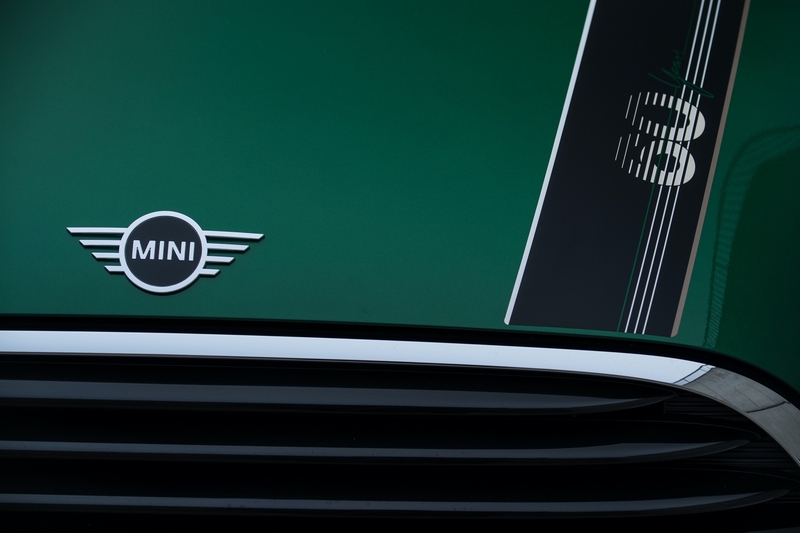 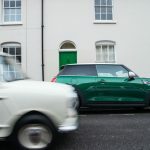 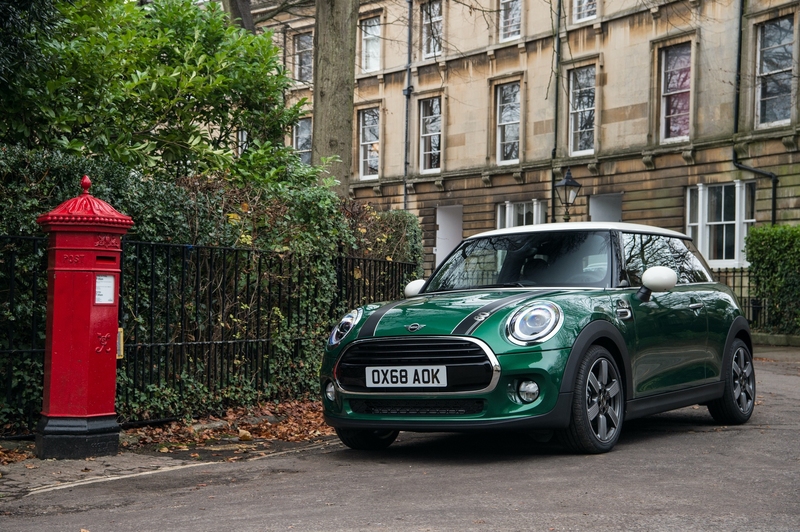 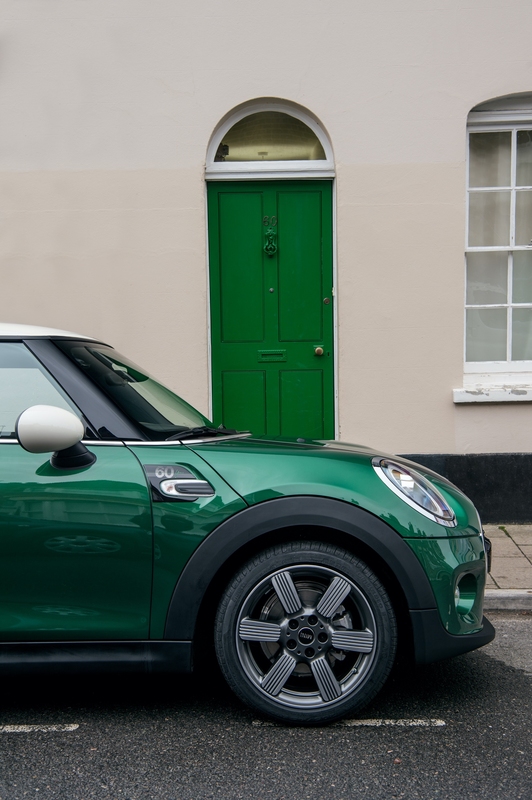 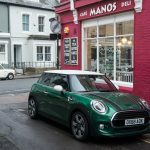 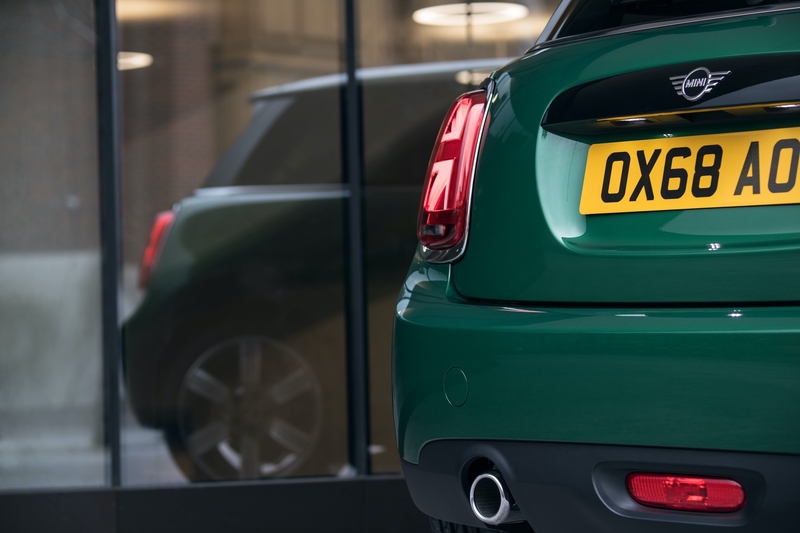 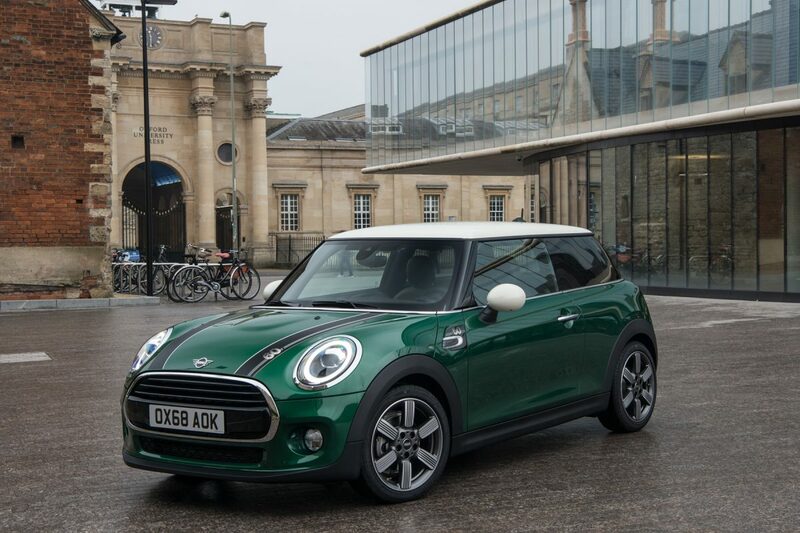 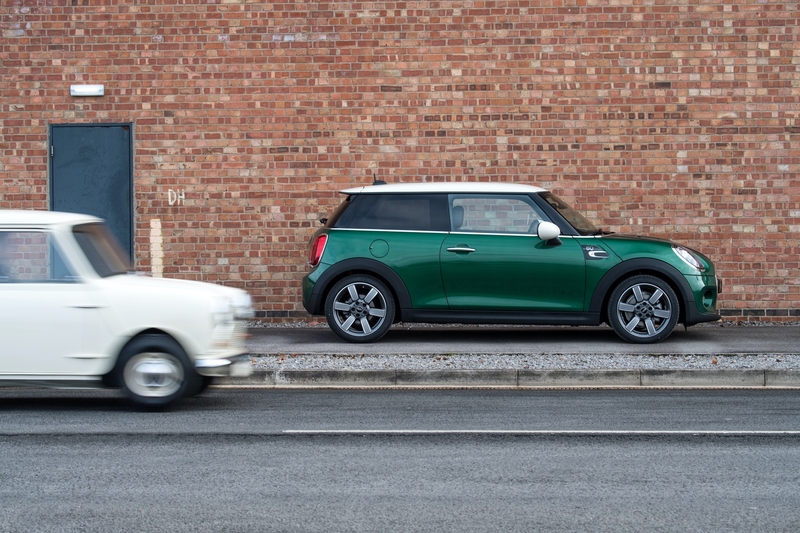 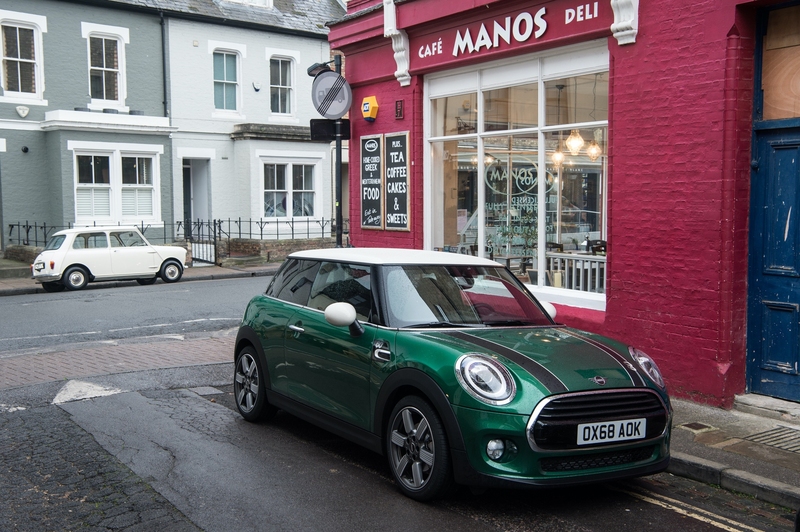 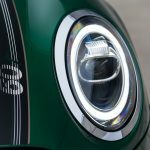 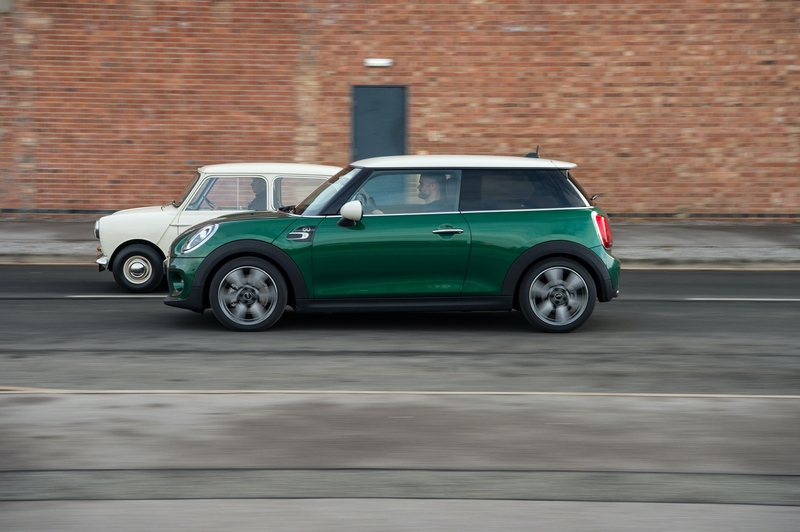 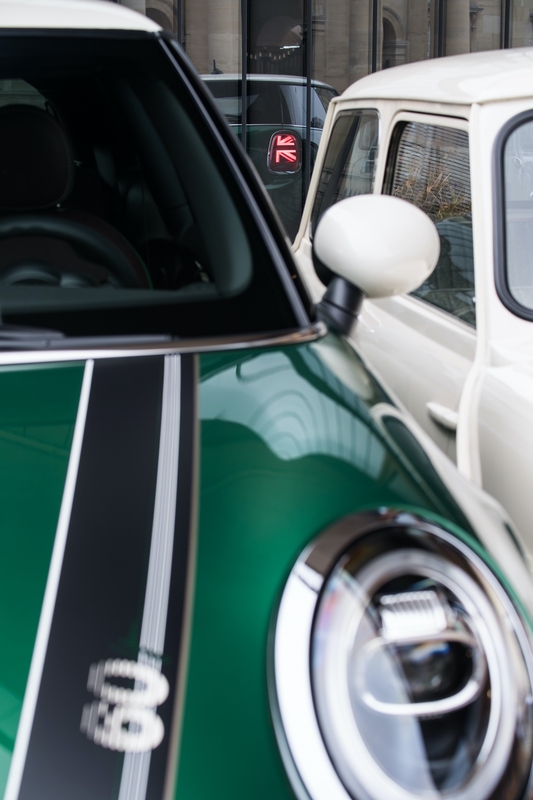 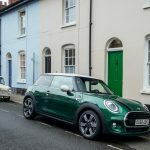 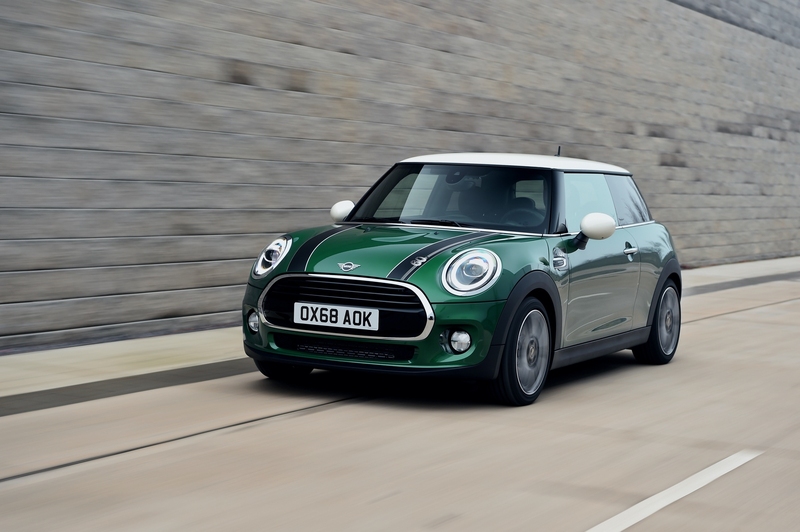 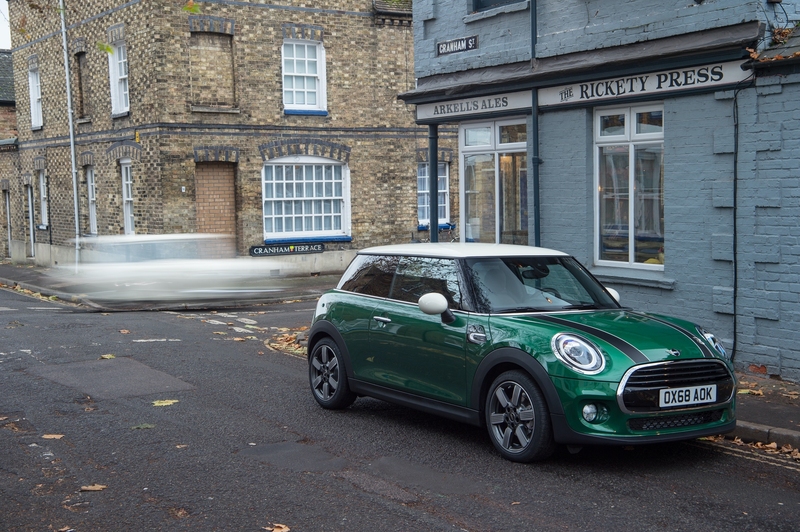 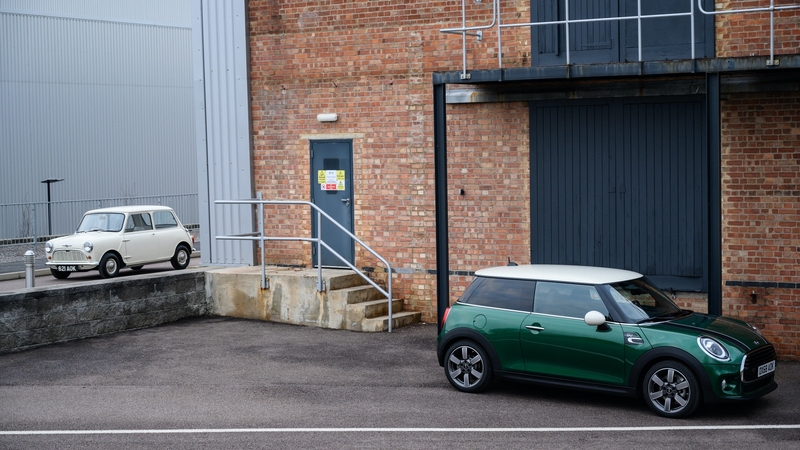 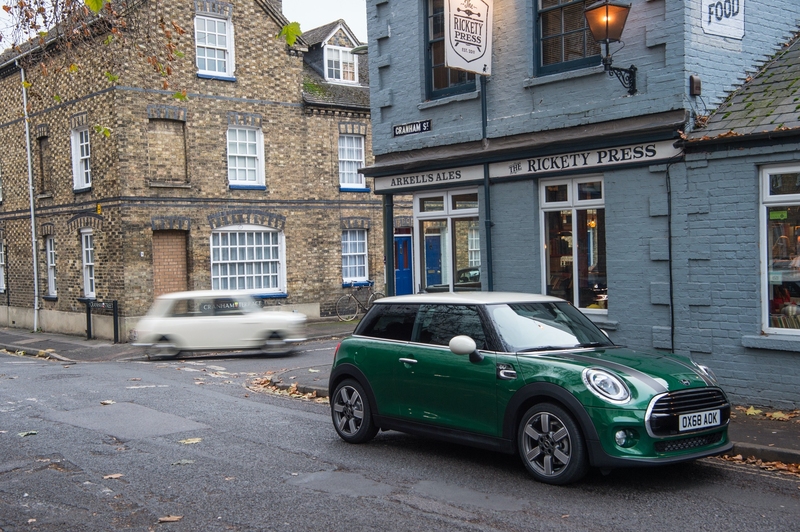 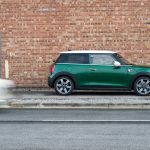 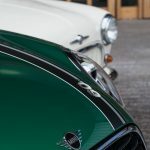 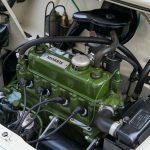 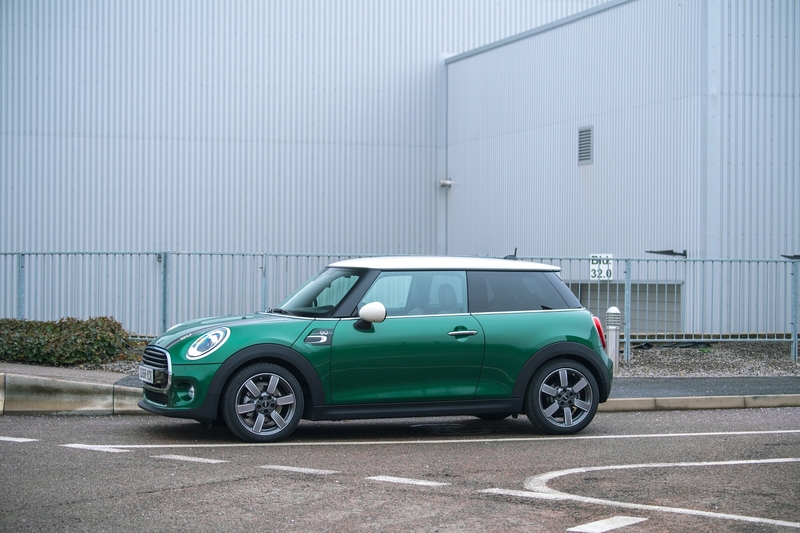 The exterior paint finish in British Racing Green IV offers a particularly clear expression of the premium small car’s character and origins. 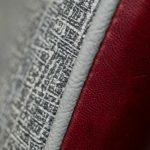 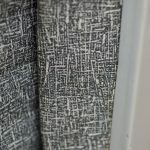 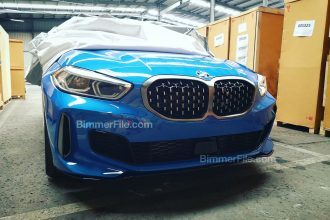 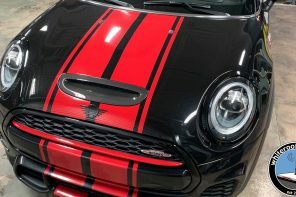 The body finishes Midnight Black metallic, Moonwalk Grey metallic, Melting Silver metallic and MINI Yours Lapisluxury Blue non-metallic are also available as alternatives. 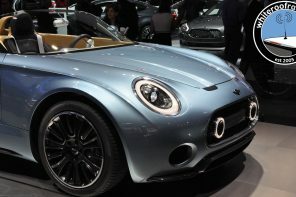 The chosen body colour is combined with a paint finish in Pepper White or Black for the roof and exterior mirror caps. 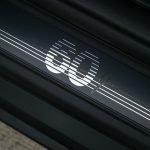 Bonnet stripes with a specific anniversary design and exclusive 17-inch light alloy wheels in the version 60 Years Spoke 2-tone round off the distinct look of the edition vehicles. 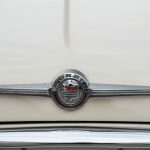 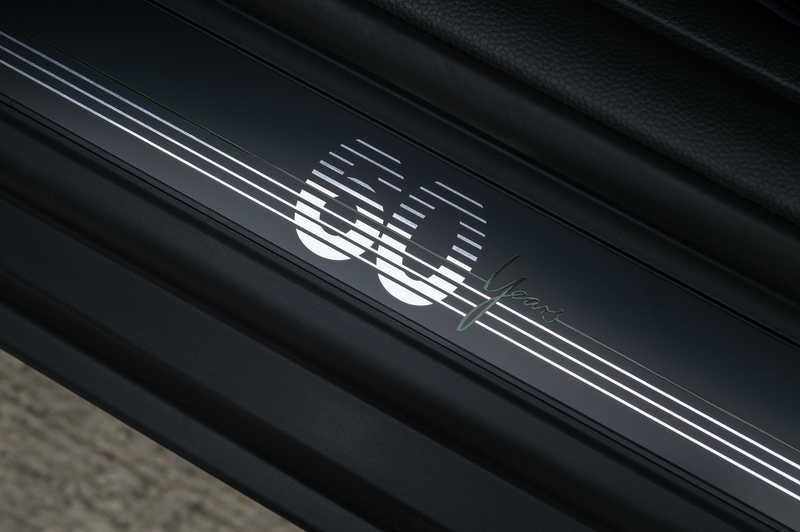 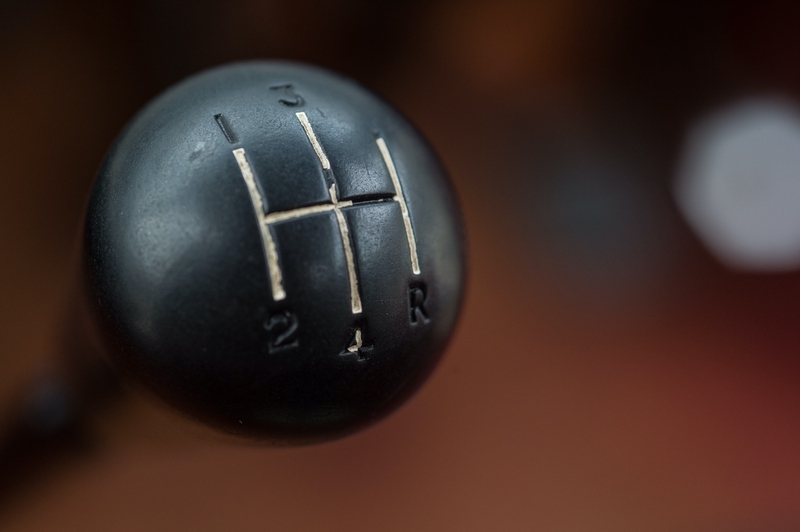 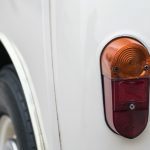 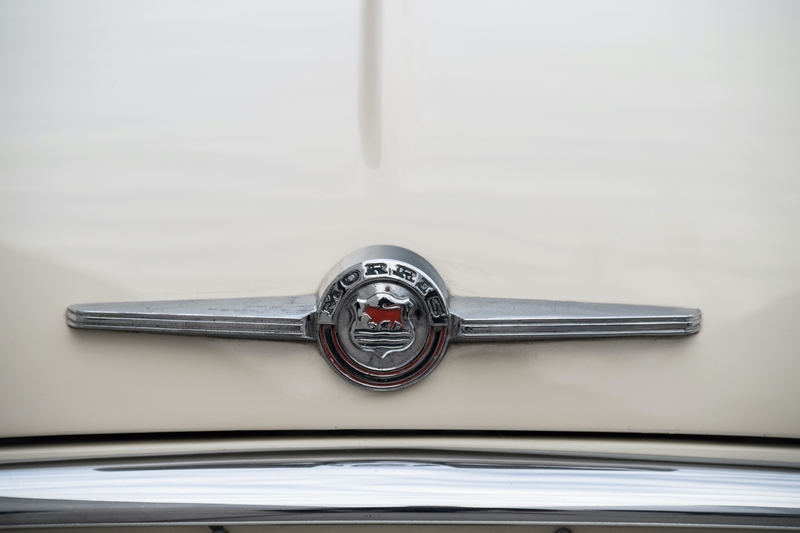 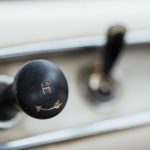 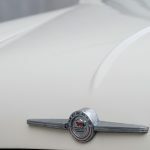 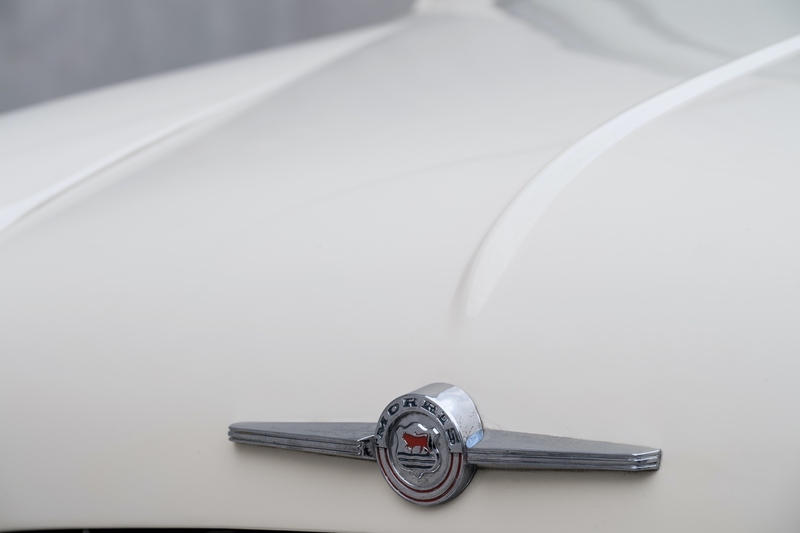 The design model’s striking 60 Years logo appears not just on the left-hand bonnet stripe but also on the side scuttles of the turn indicators and on the door sill finishers at the driver and front passenger doors. 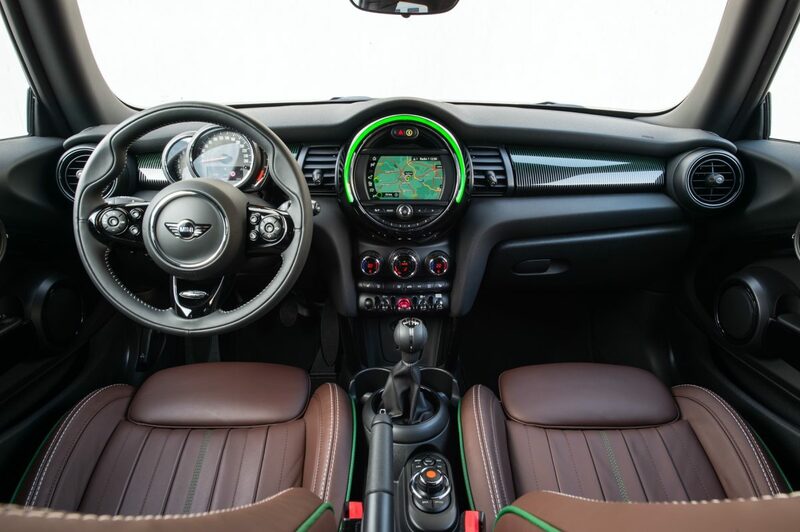 Inside the car it can also be seen on the front headrests and the steering wheel. 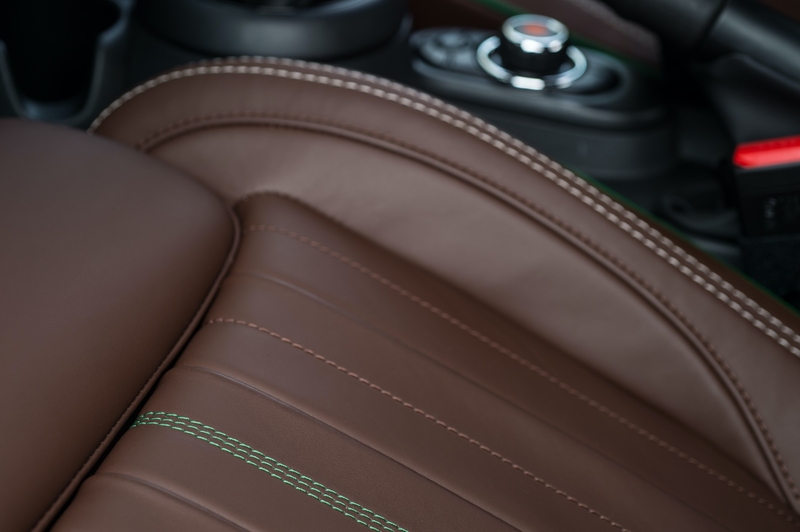 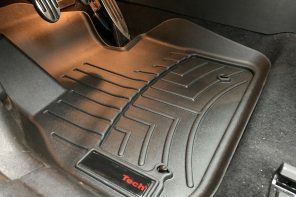 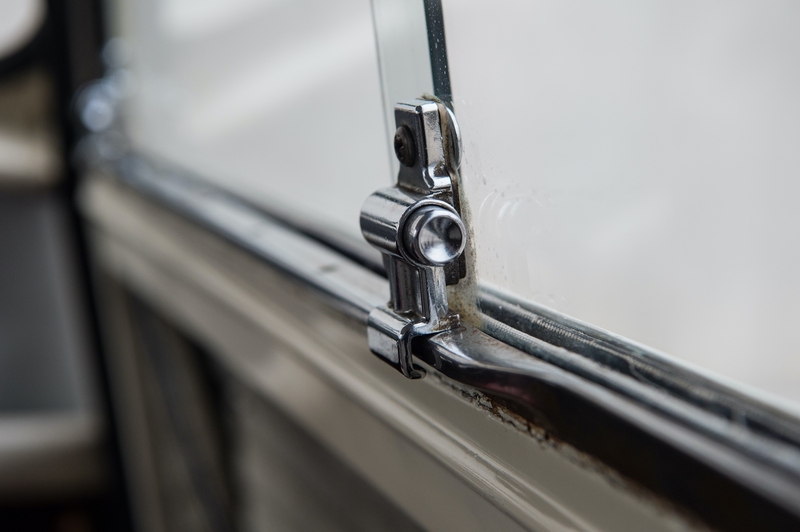 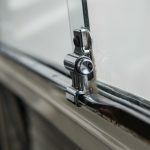 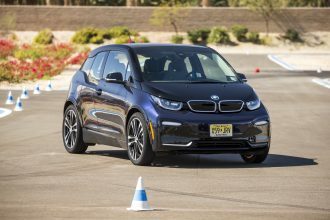 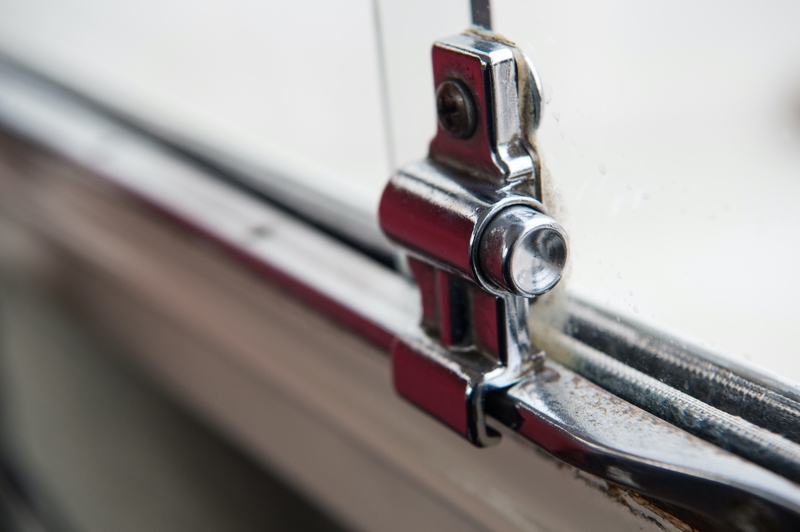 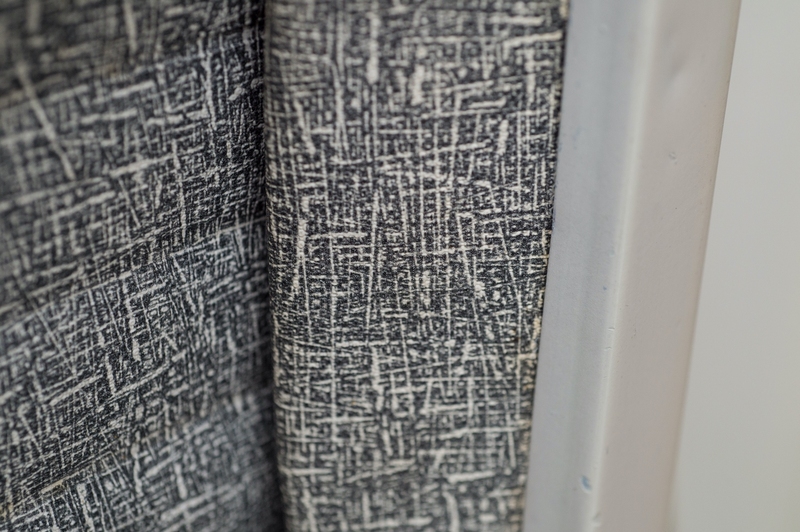 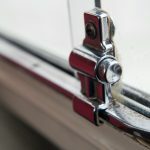 In addition the exclusive design model has model-specific interior trim finishers. 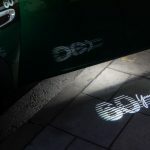 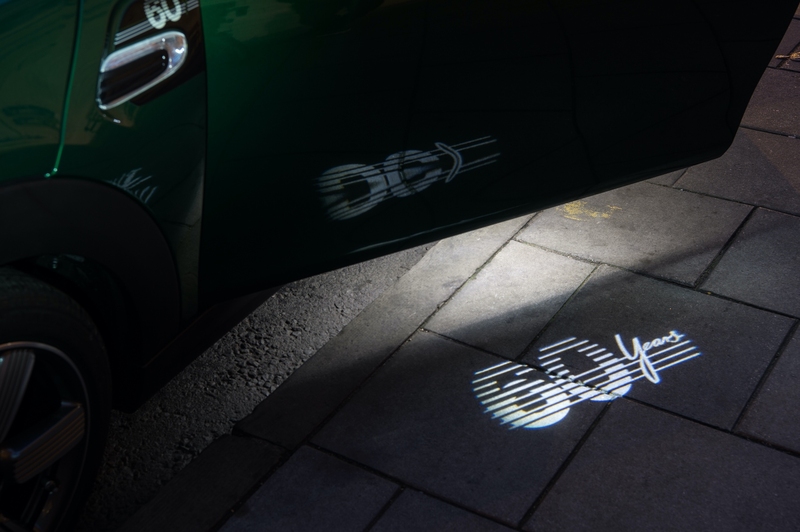 The anniversary design can also be seen in the LED logo projection which is visible when the driver’s door is opened. 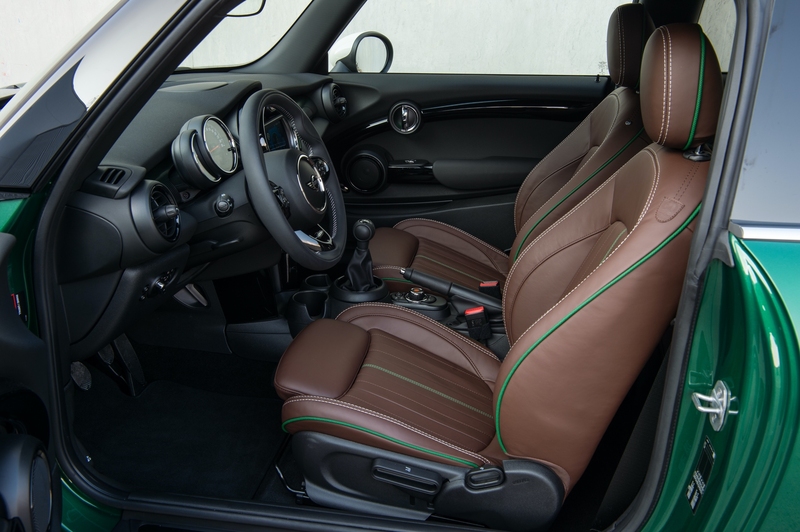 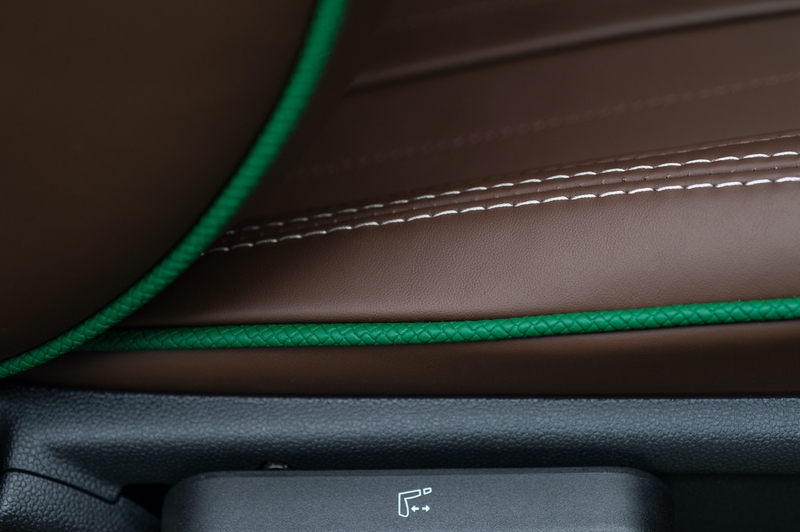 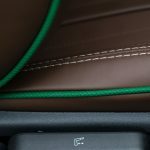 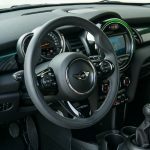 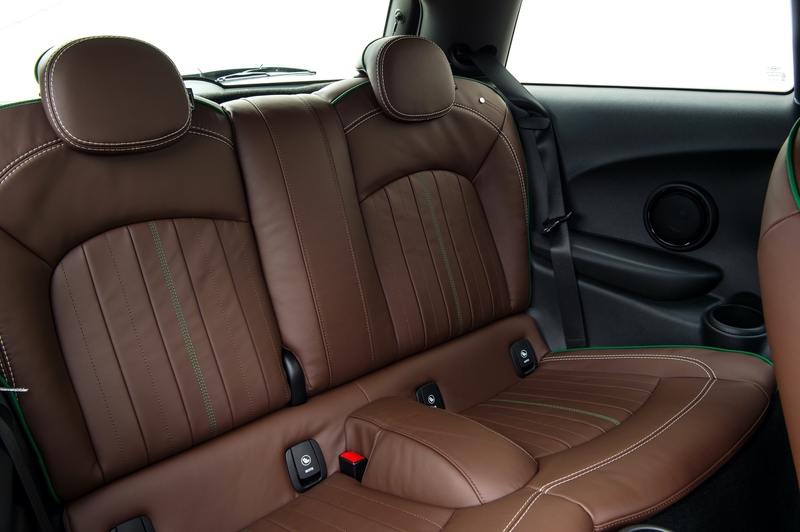 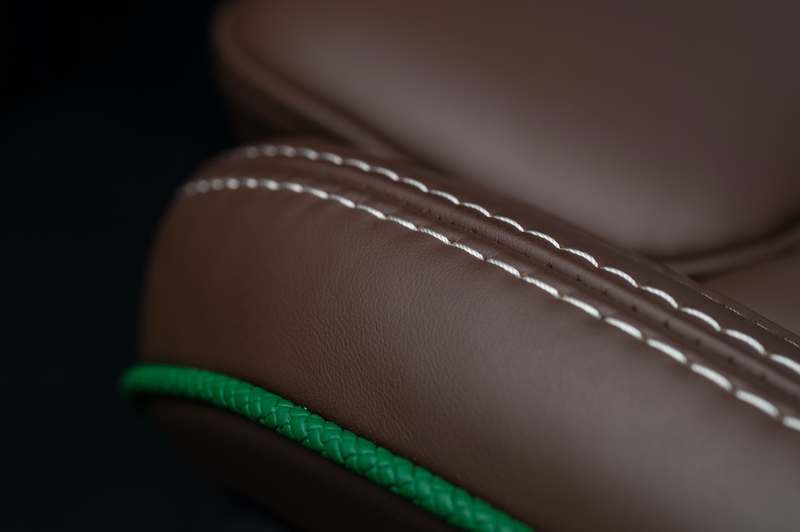 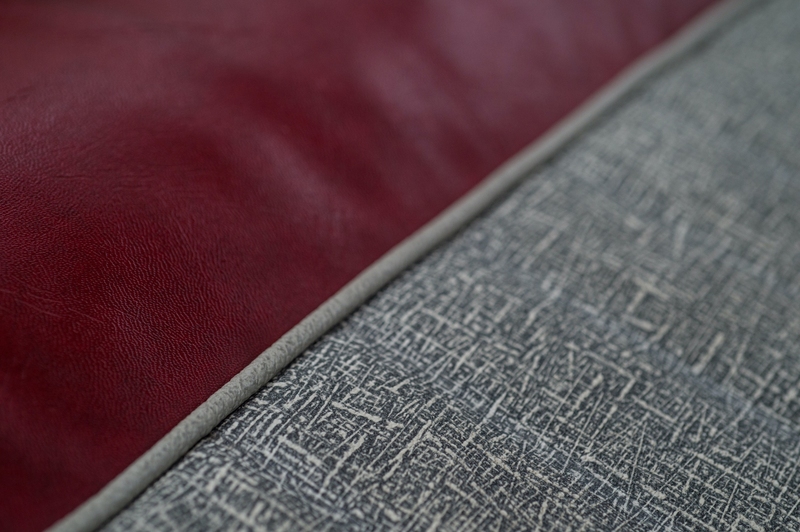 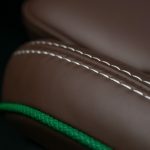 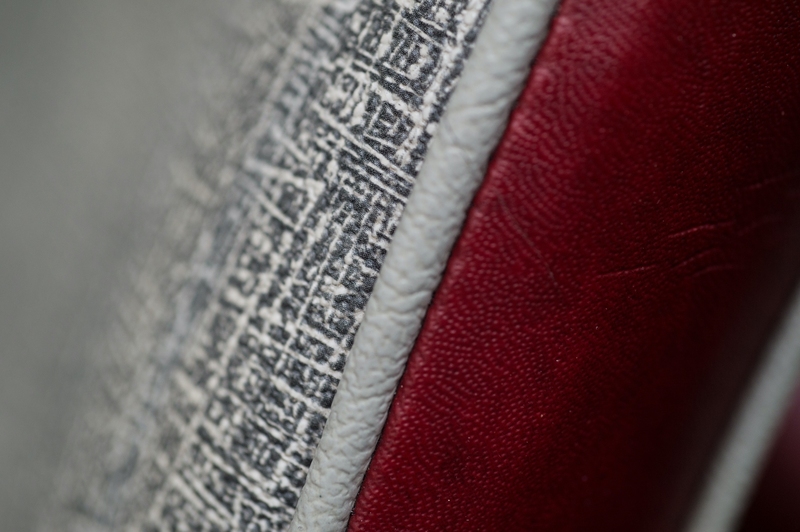 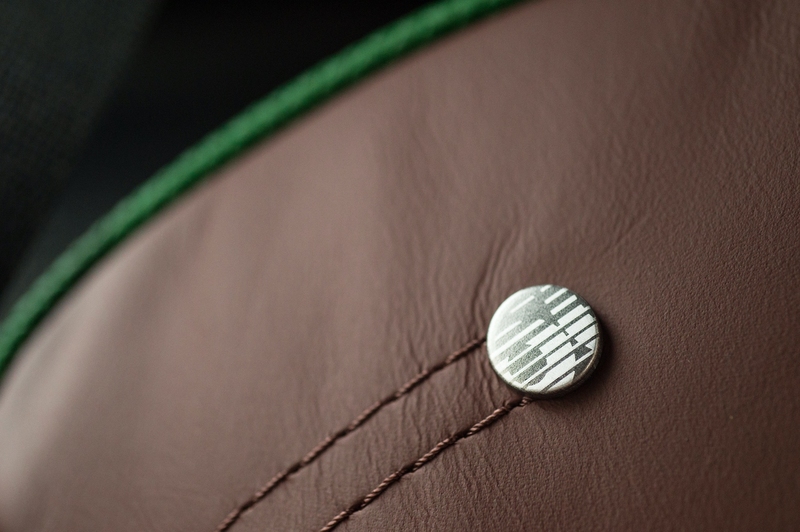 The standard equipment of the edition vehicles includes a sports leather steering wheel along with sports seats in the leather finish MINI Yours Leather Lounge 60 Years and the exclusive colour Dark Maroon. 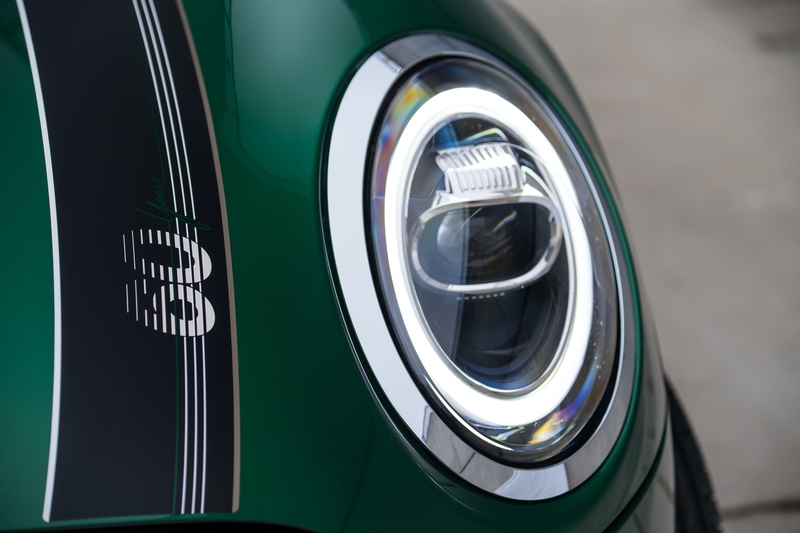 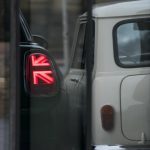 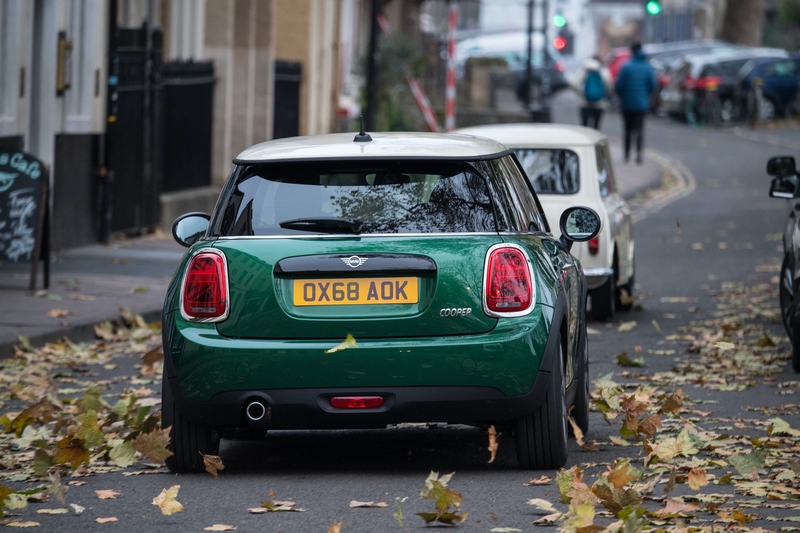 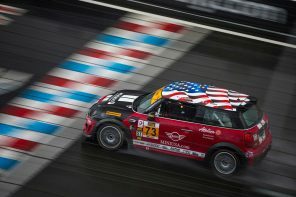 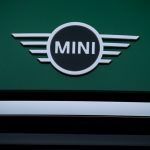 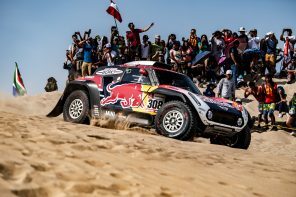 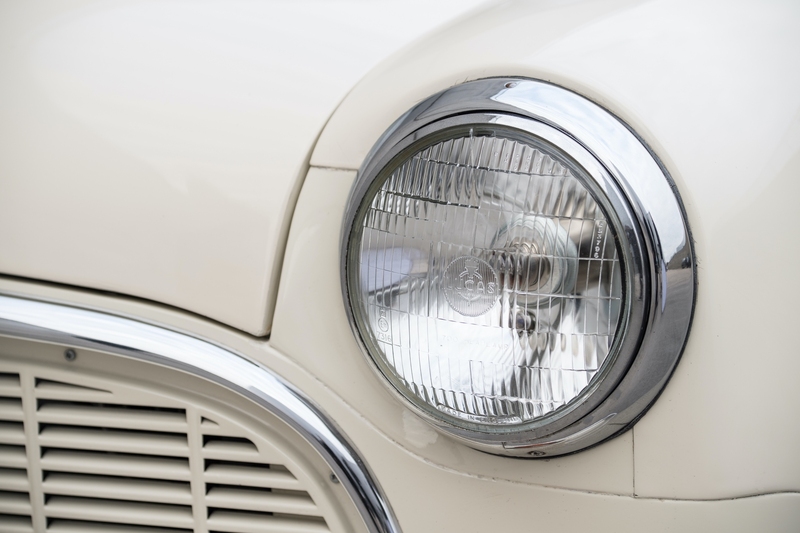 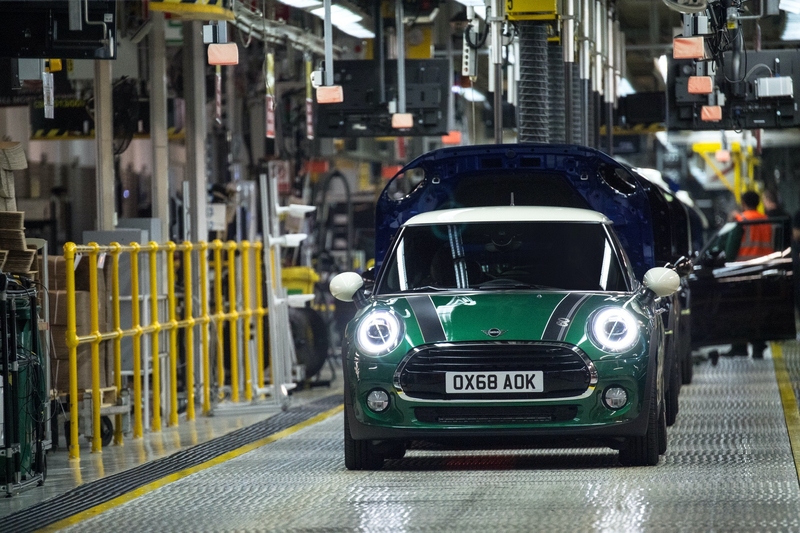 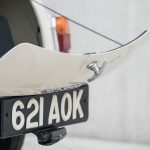 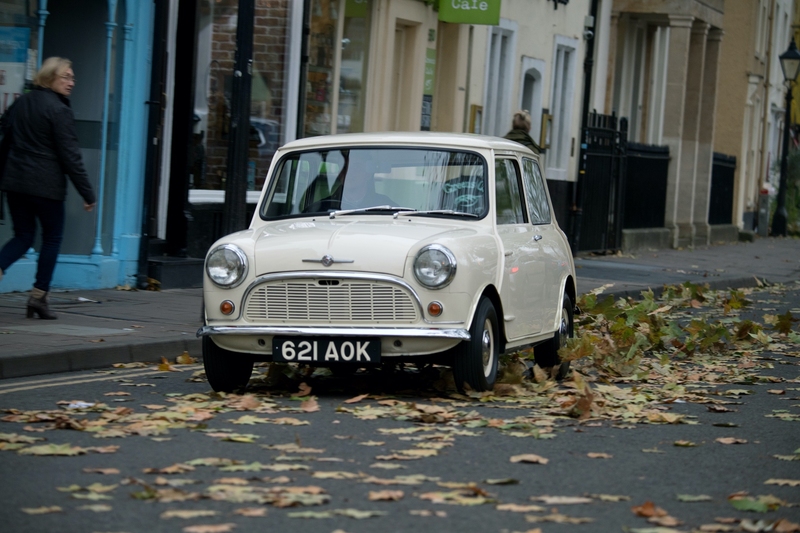 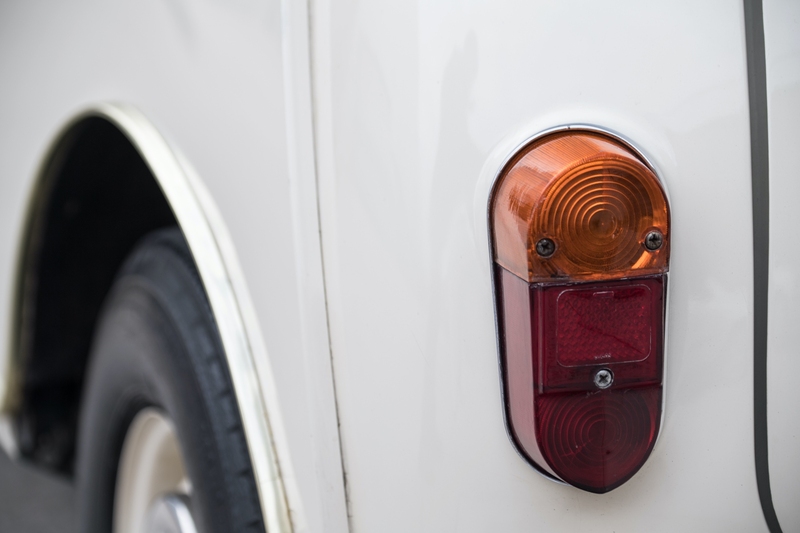 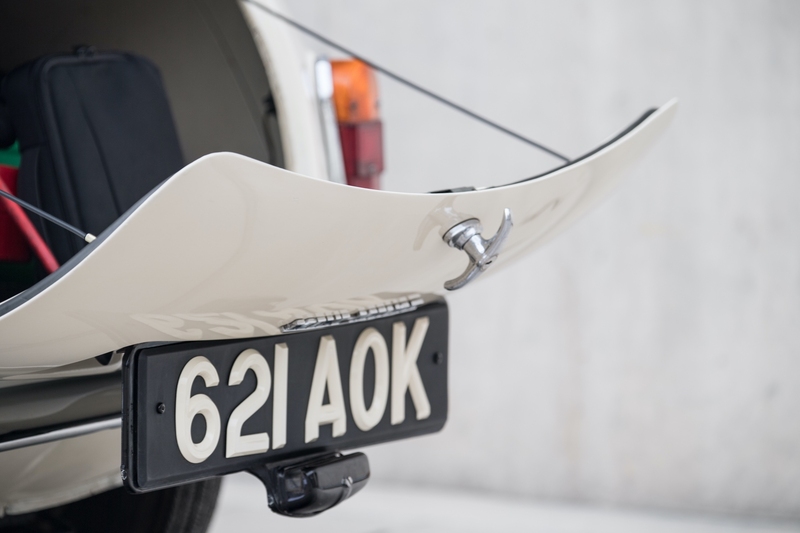 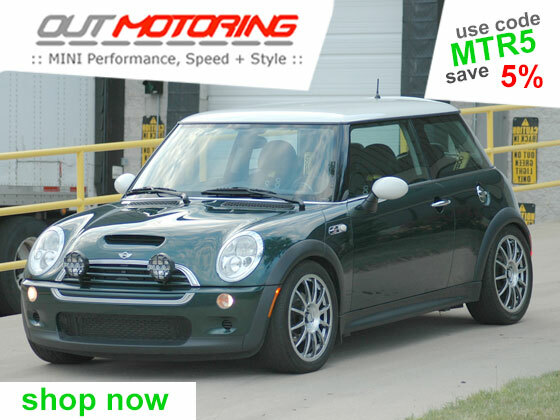 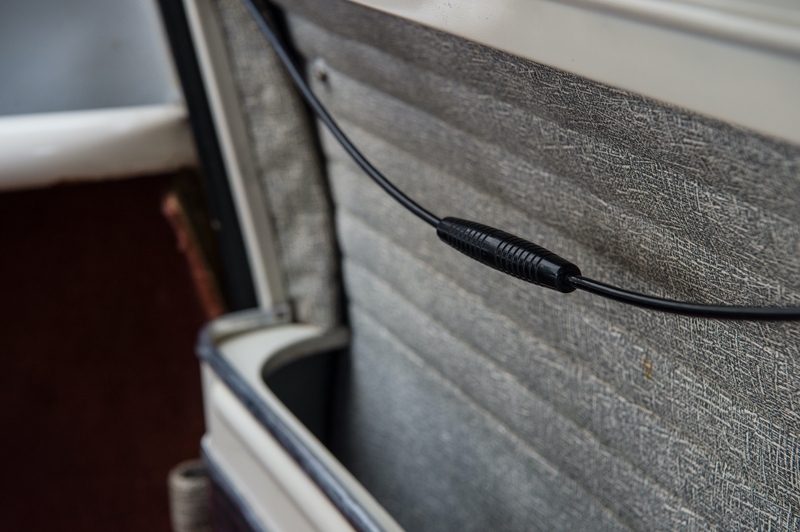 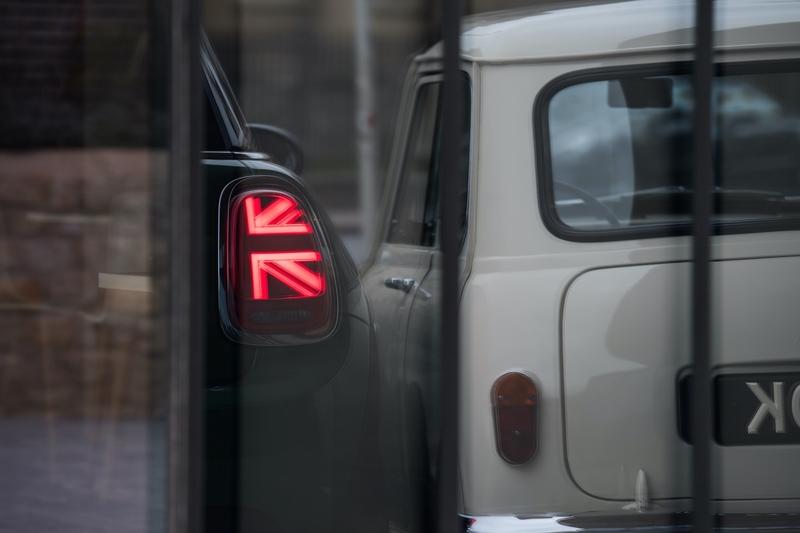 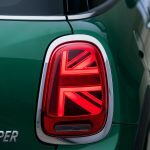 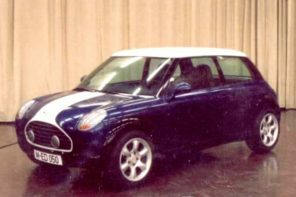 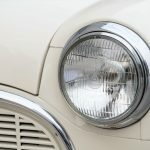 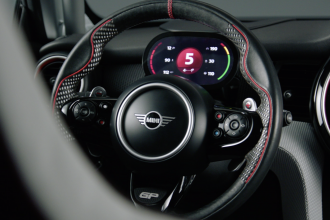 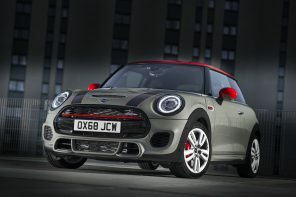 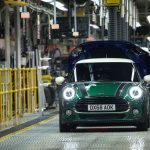 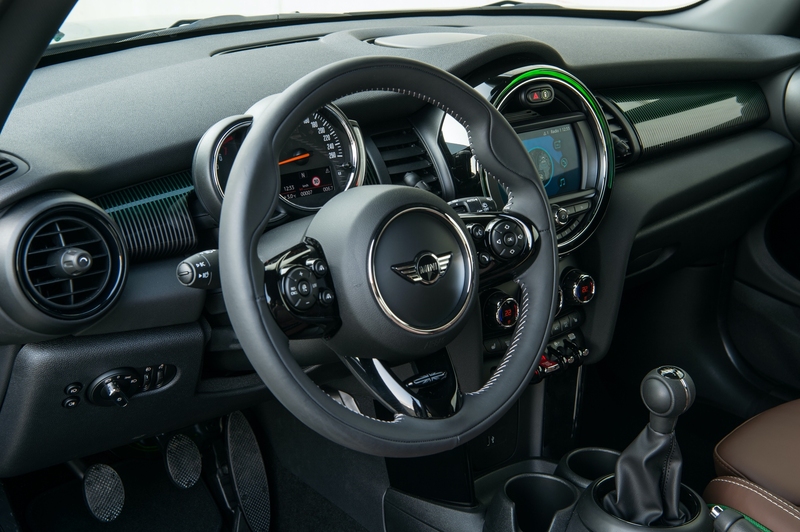 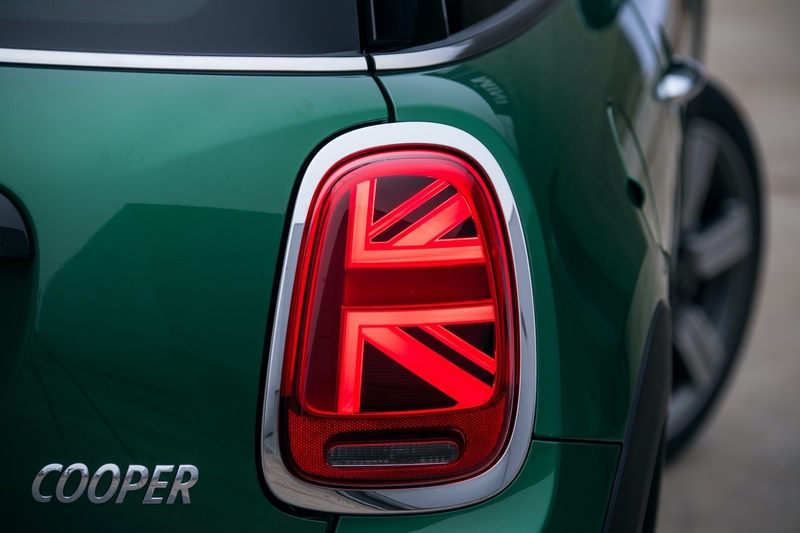 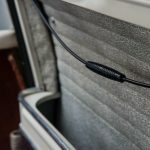 In conjunction with the equipment package 60 Years Chili, the edition vehicles also feature such items as LED headlights, LED fog lamps, white turn indicators and LED rear lights in Union Jack design, the lighting package for the interior and also the MINI Driving Modes and the MINI Excitement Package complete with ambient lighting. 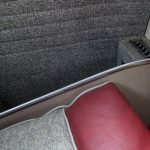 There is also an on-board computer, automatic air conditioning, a rain sensor and a storage package on board.